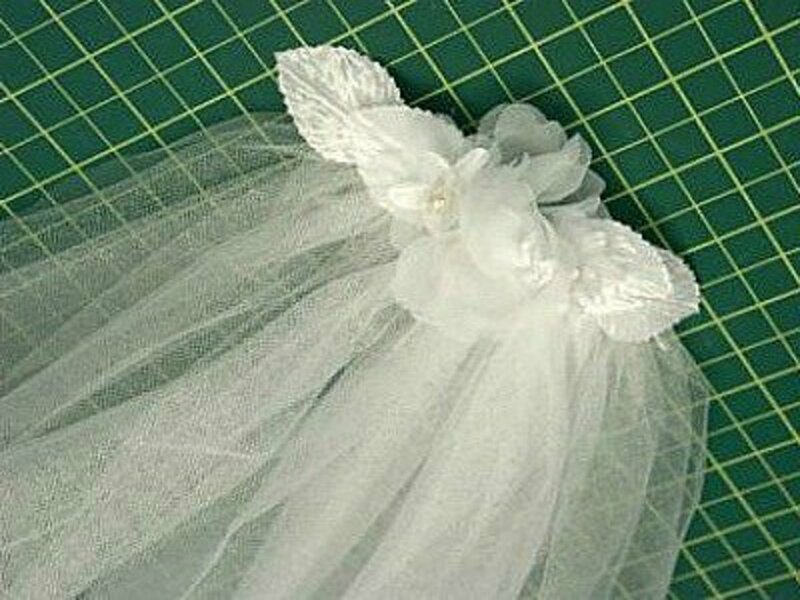 It can be difficult to find wedding or bridal crafts when searching for ideas on the web. Actually, in my search of Google images, many of the images of bridal crafts are for sale, not to make. 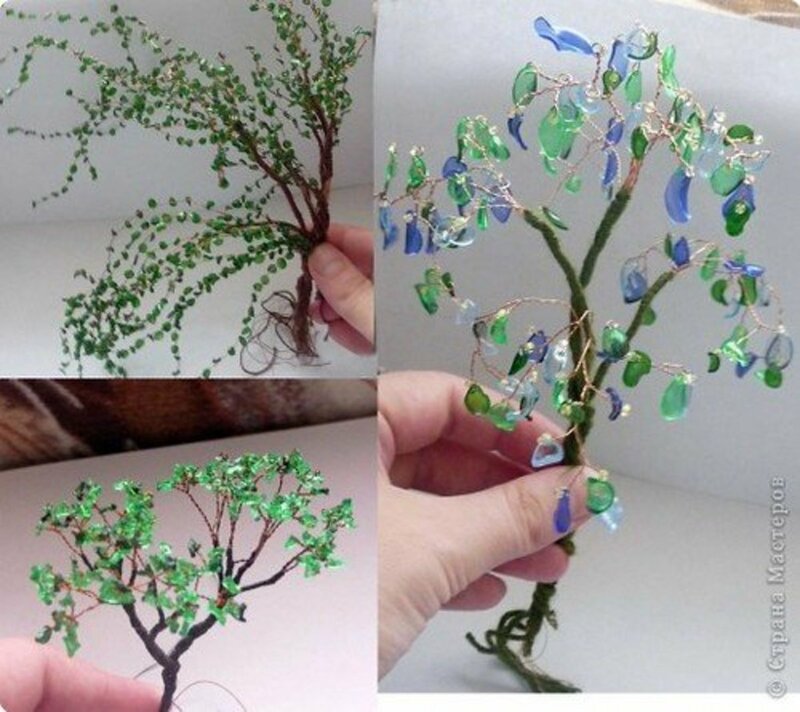 But, since my search requirements were that the projects to be included here had to have instructions, as well as a nice picture, the crafts shown here all are bridal crafts that you can make. 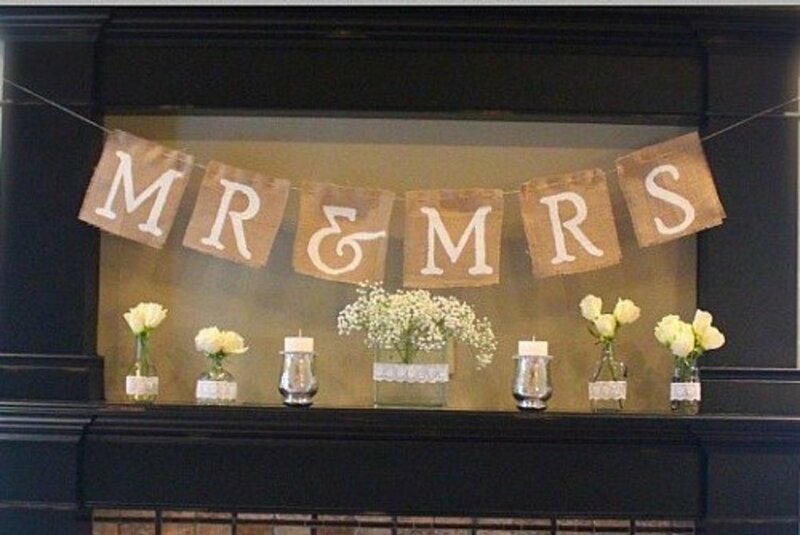 I so wish that the Mr. and Mrs. banner shown above was pictured draped in front of the wedding reception table. 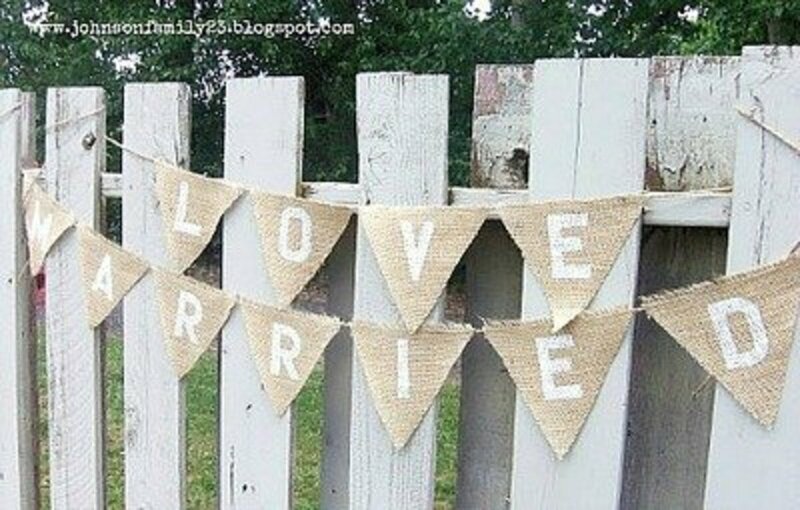 The tutorial for making the burlap banner is found at Rustic Wedding Chic. If you haven't seen, or used, the rhinestones in a roll, you're going to love how easy it is to make candle holders that look elegantly fabulous, with it. Go to The Country Chic Cottage to find the tutorial for making these candle holders. 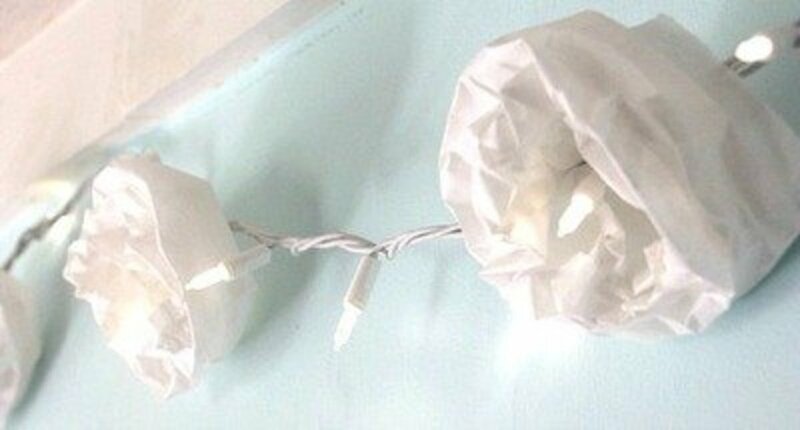 Decorate with these coffee filter twinkle lights and no one will guess that you didn't spend a mint. They will never guess that you used coffee filters, unless of course you tell them. 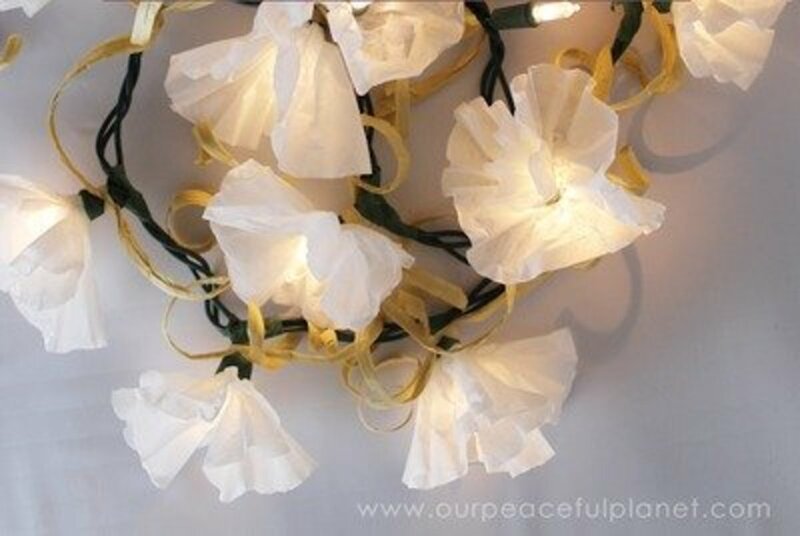 The tutorial for making these twinkle lights is found at Our Peaceful Planet. Brides, if you want to have a beautiful backdrop for your bridal table or for a photo booth, consider making this backdrop. It will take a bit of time (invite your bridesmaids to help you) but you'll not only save money, but you'll have a backdrop that the girls will probably want you to keep so they can borrow it for their big day. You'll find the tutorial for making this backdrop made with wax paper, cut into circles, those circles cut in half and then shaped into bells, at Style Me Pretty. A nice pictured tutorial so it's easy to follow. 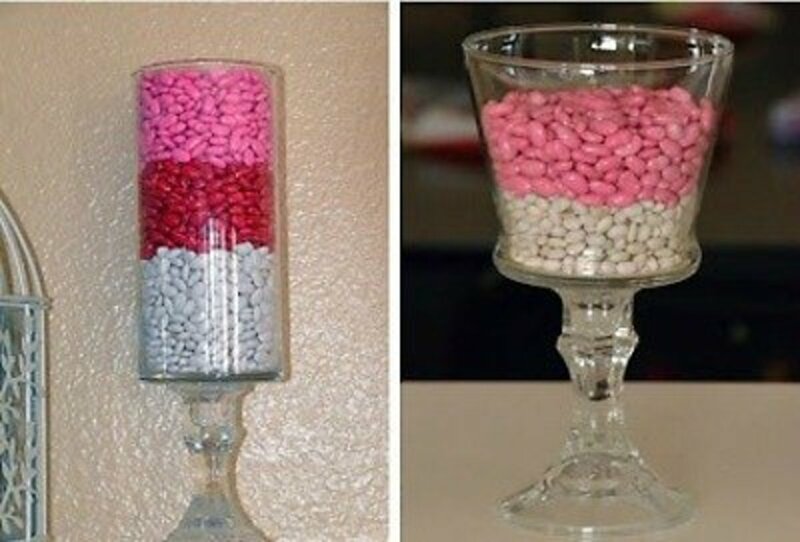 You won't believe how easy it is to make this LOVE arrangement. You'll cut the letters from foam board and add tissue paper tuffs to make this craft. 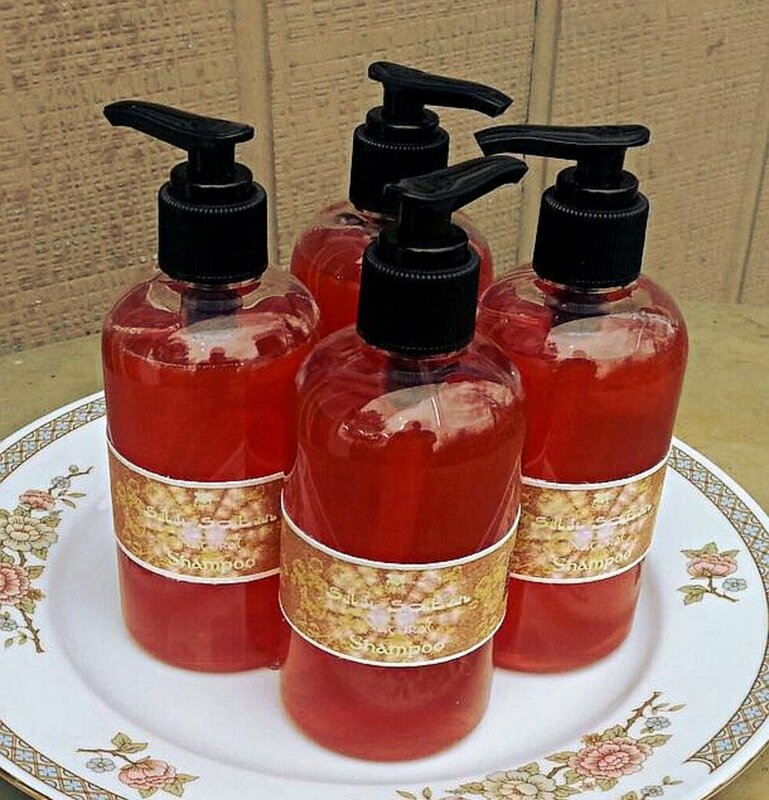 Go to Sugar Bee Crafts for all the information that you'll need. 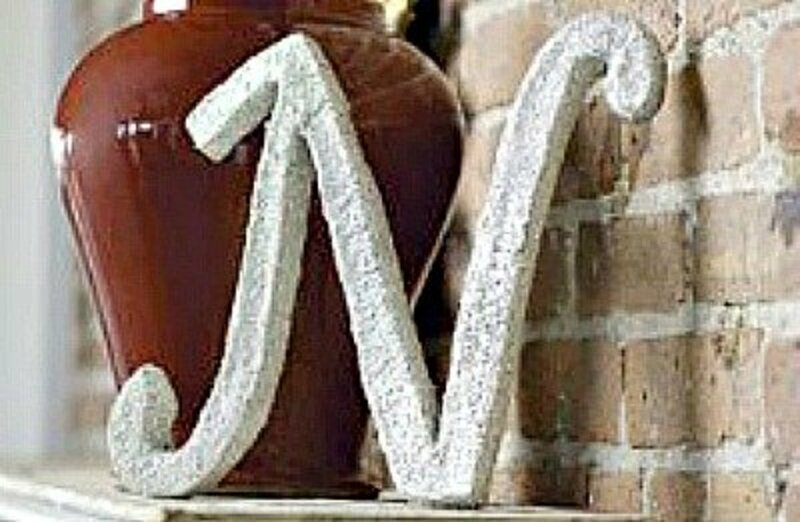 If you want to hang the letters instead of having them in vases, consider stringing the letters with fishing line to use to hang. Go to G*rated to see how to spray paint the beans. You can use the beans and then add a layer of rhinestones or gems to cover them, or spray paint coffee beans gold to use as filler. 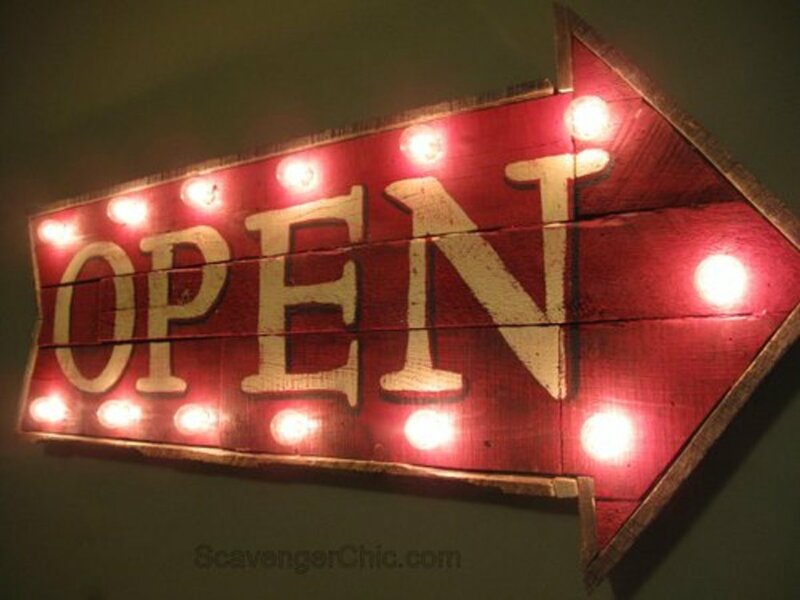 Let your imagination help you think of different, inexpensive things to spray paint. I've placed an Amazon ad under this project, so you know which kind of Sharpie marker works for writing on glass. You want to make sure it is the painter type marker. 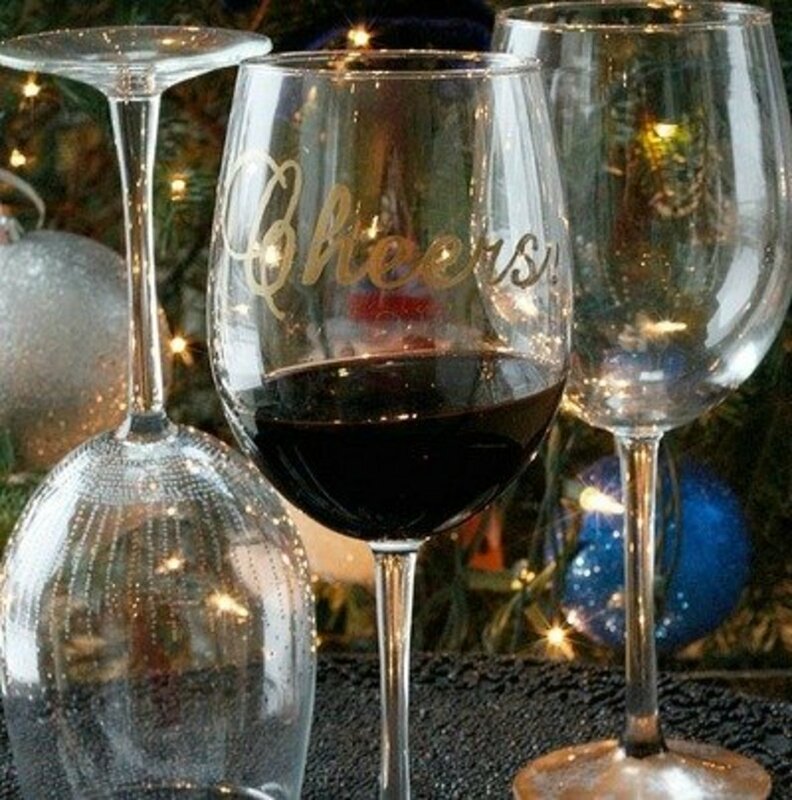 Find the tutorial for these elegant wine glasses at Fabtasticeats. One of the reasons, making these glitter jar votives is really easy, is that you use double sided tape to hold the glitter to the glass jar. You can purchase glitter in almost any color conceivable. Go to Something Turquoise for the project instructions. Making this tissue paper fan garland is super easy if you follow the directions given at The House That Lars Built . I think this garland is so pretty and it can be used for a bridal shower, baby shower or wedding. 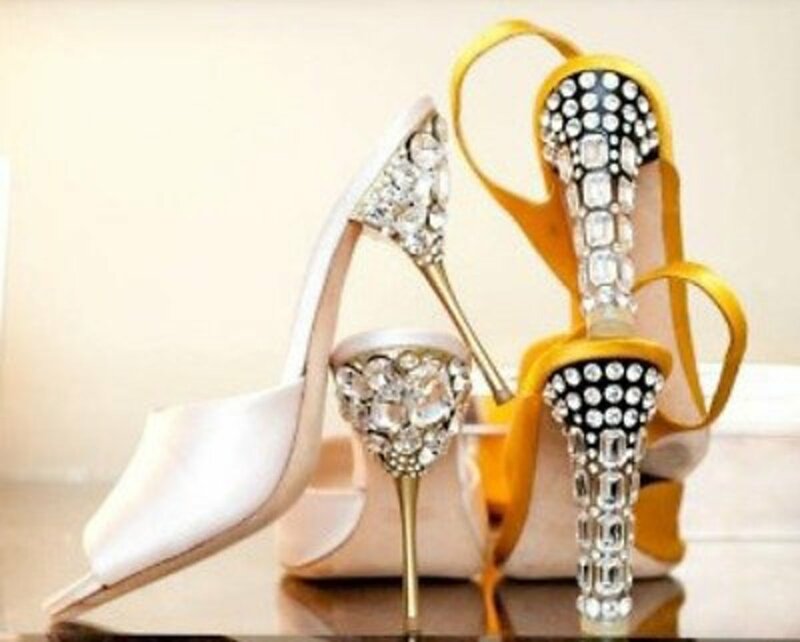 You want your shoes to be as unforgettable for your wedding day as you do your gown. Making these jeweled heels is much simpler than it would appear. 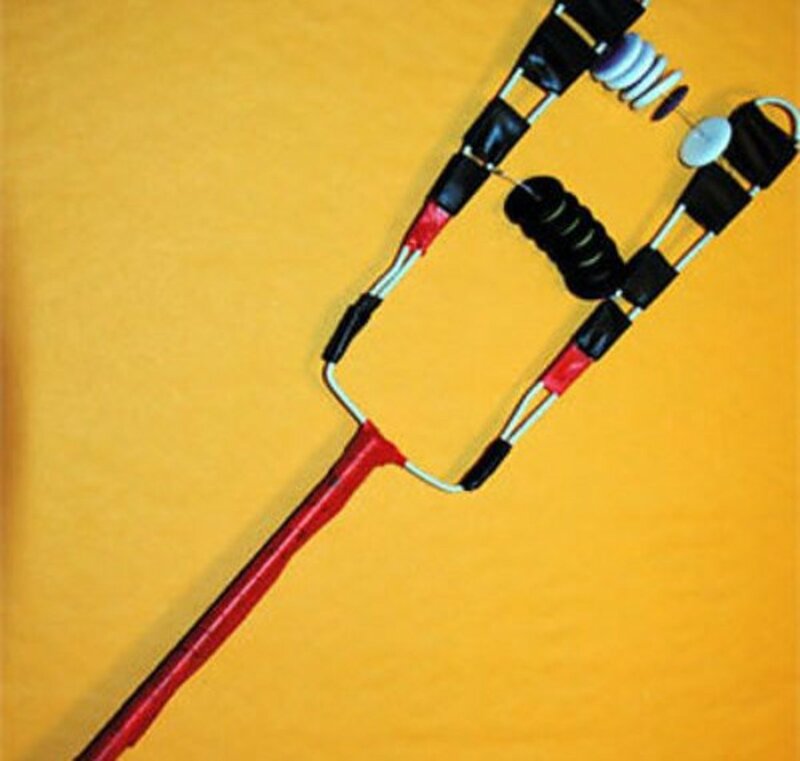 See how you can make your own enhanced heels by going to Honestly WTF for the tutorial. 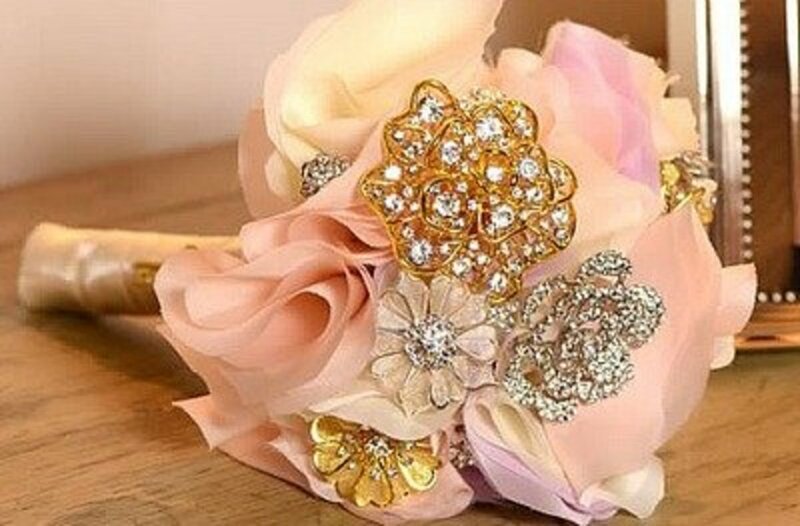 This is such an elegant bouquet. 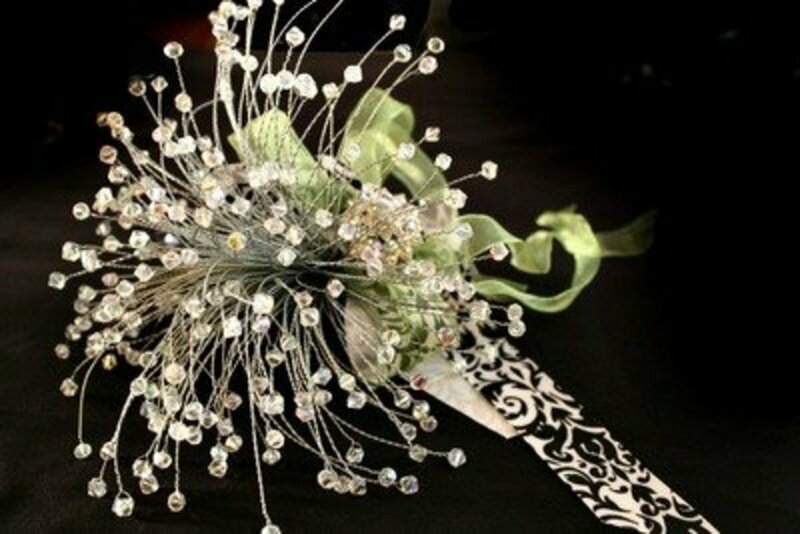 If you don't want to use it as a bouquet think about making smaller versions of the bouquet and make table decorations. 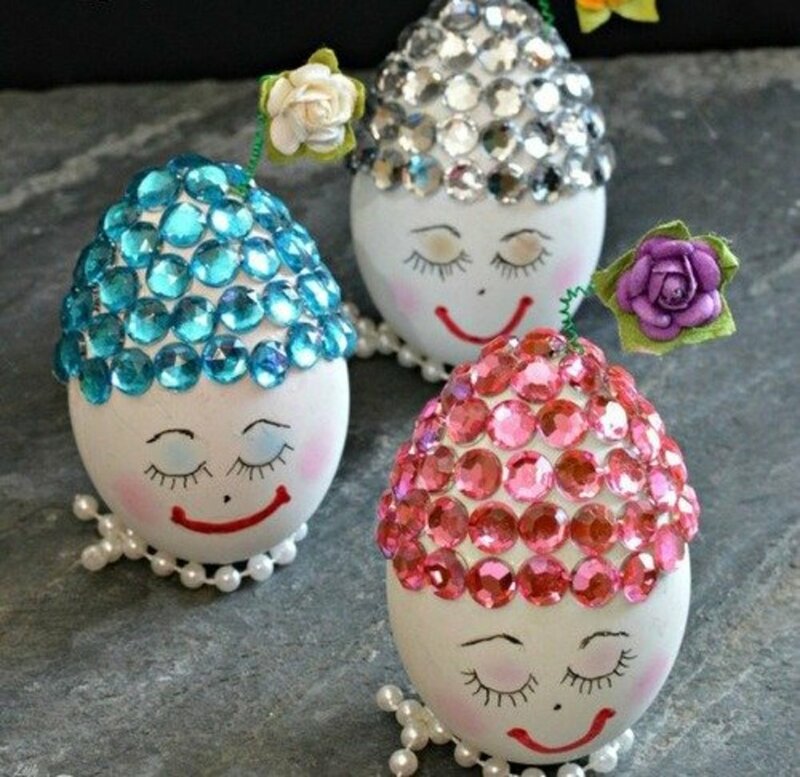 Find the instructions for making this craft at Offbeat Bride. 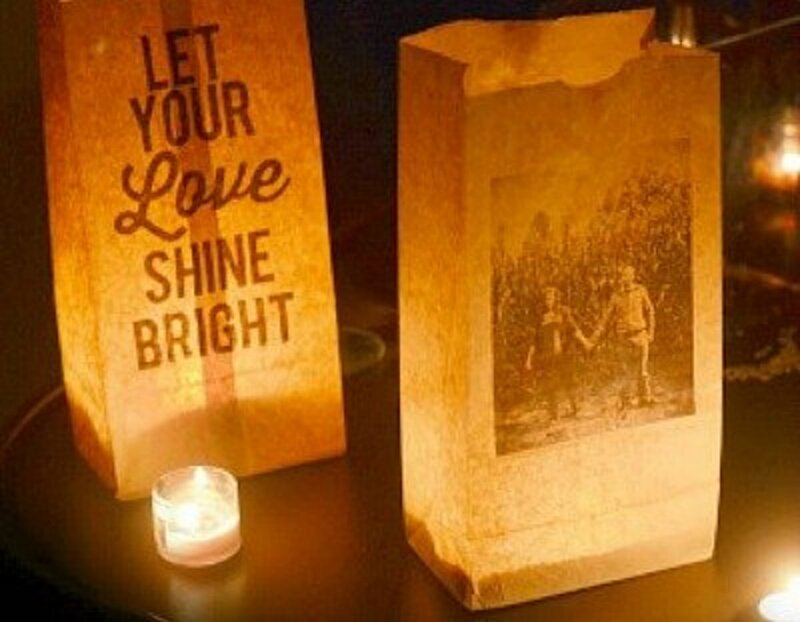 I'm including this sparkle lantern craft with the bridal craft ideas because I think dressing up the little lantern covered string lights by adding glitter would be a nice touch. The directions for this project is found at Two Delighted. Scan down to get to this craft. 13. Candle Place Cards using tissue paper transfers. You'll be so busy the days right before your wedding that you'll want to be sure to wear comfortable shoes. You'll love wearing glitter sneakers because you want to always feel in the celebratory mood. Make your glitter sneakers in whatever color you want. The tutorial for making glittered sneakers is found at About Style. When my granddaughter got married last summer, we made her wedding garter, and it was so easy to do because of the elasticized lace ribbon. 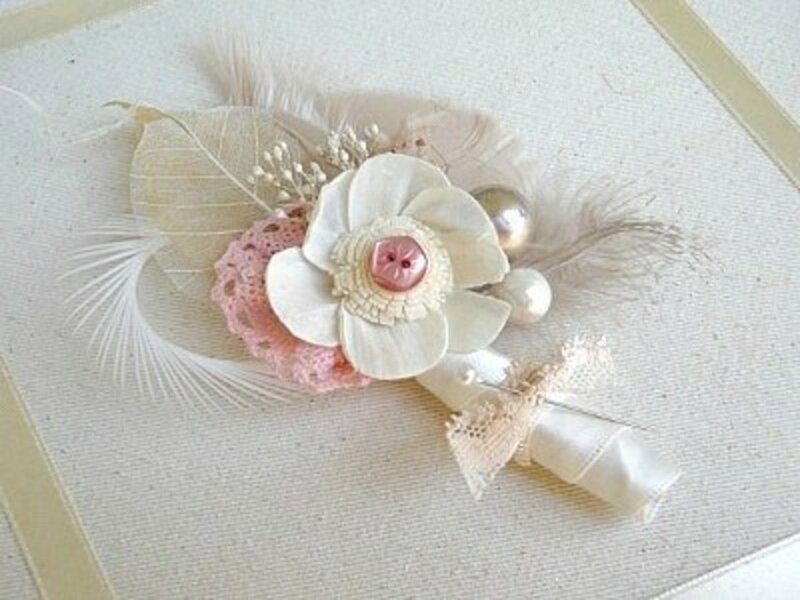 Bridal Guide has a great tutorial for making a wedding garter like this one. 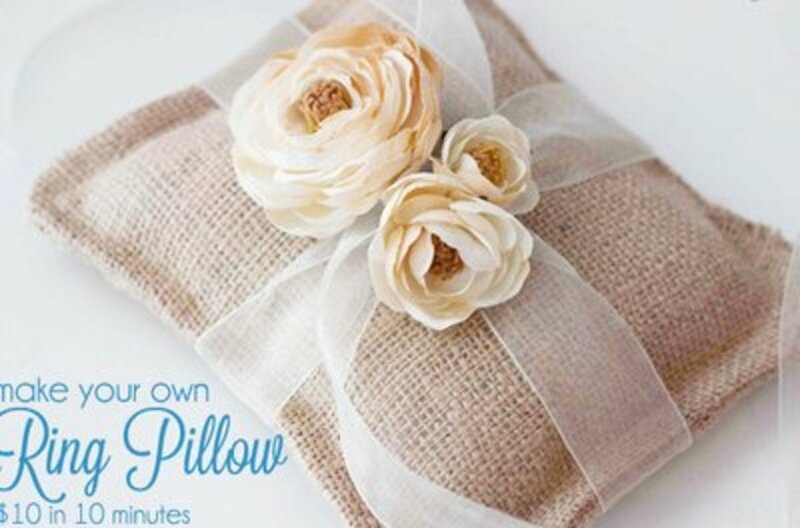 This is a very easy and simple way to make a ring pillow for your wedding. The burlap ring pillow is perfect for a rustic themed wedding, and you can use satin for a more formal wedding. The instructions for making this ring pillow is found at Sweet C’s. Raffia is a beautiful look for any themed bridal decorations. See how easy it is to make a lighted garland by going to How to Make a Lighted Raffia Valentine Garland for the tutorial. I think this glitter leaves garland would be beautiful anytime of year, but especially for a Fall wedding. Be sure to go to 6th Street Design School for the tutorial, but also so you can see a close up of how beautiful this garland really is. 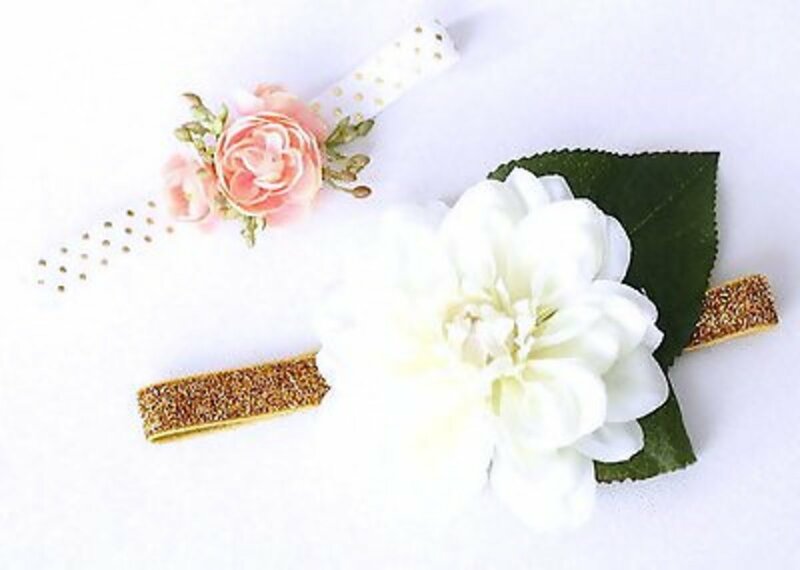 One of the nicest things about making your own hair accessories for your wedding is that you can choose the exact color or color combinations that you wish. 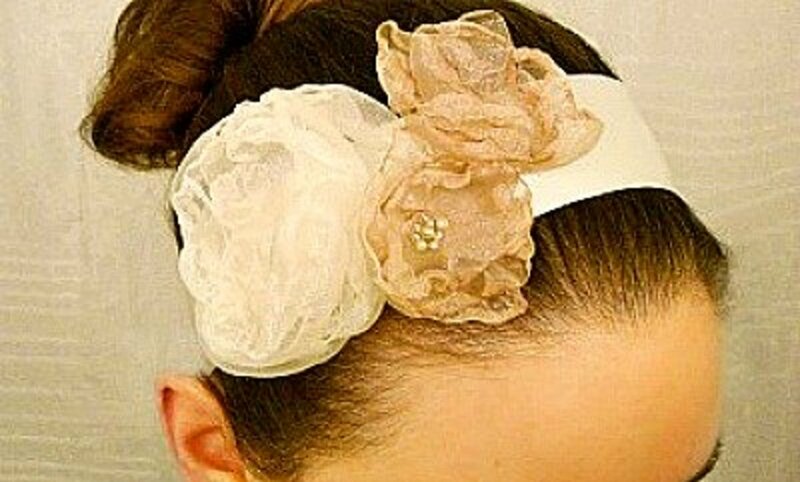 The instructions for making this beautiful headband can be found at Elizabeth Anne Designs. 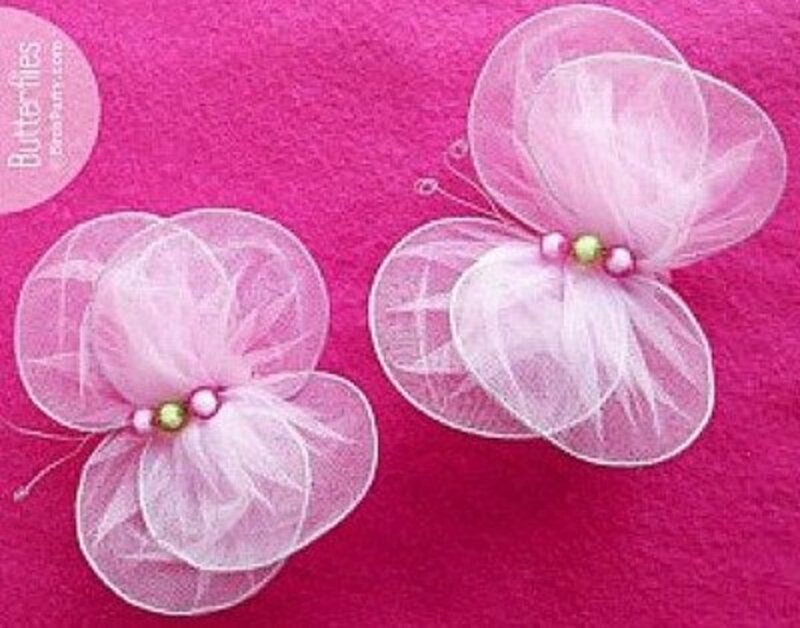 Have even more fun by inviting your bridesmaids to help make the headbands. This site, Intimate Weddings. 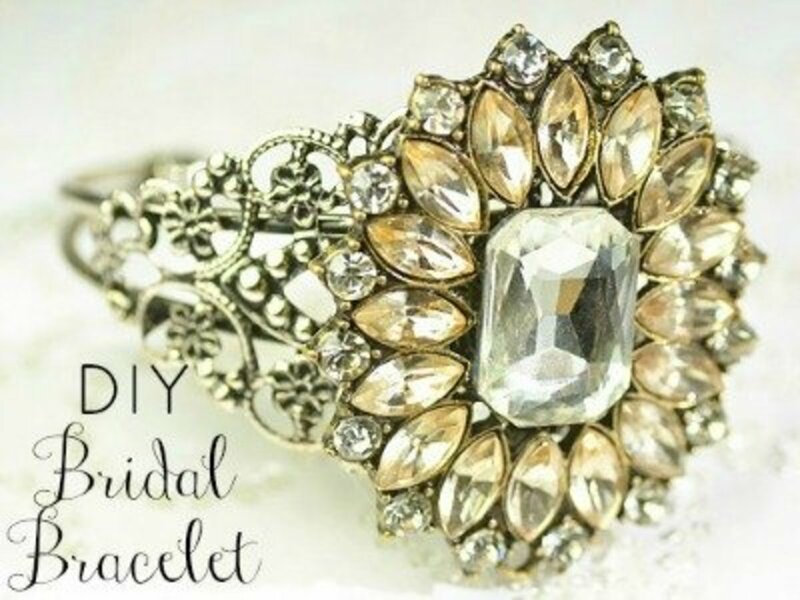 has a nice tutorial on how to make this beautiful bridal bracelet. It's a lot easier to do than you think. 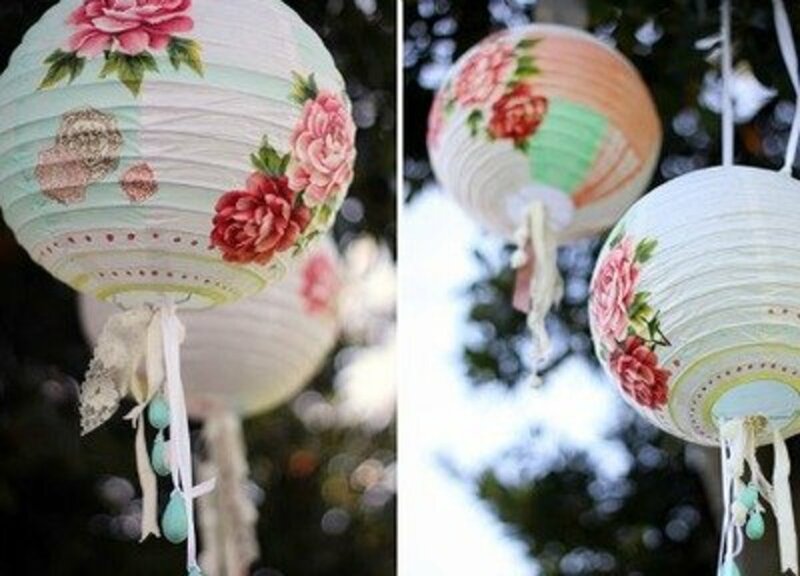 Learn how to decoupage fabric swatches to paper lanterns by going to the Missjo5ie site. 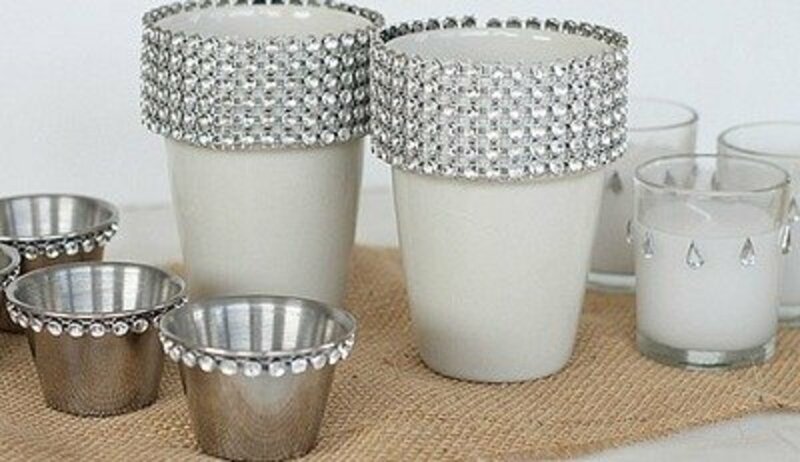 These would be such a beautiful bridal shower décor addition. I'm imagining a tea party themed bridal shower. If you want to make beautiful centerpieces for your wedding, these paper hydrangea centerpieces can be one of the earliest preparations you make. This is an easy and beautiful centerpiece idea. Notice the burlap wrapped bottles and diamond ice filler. 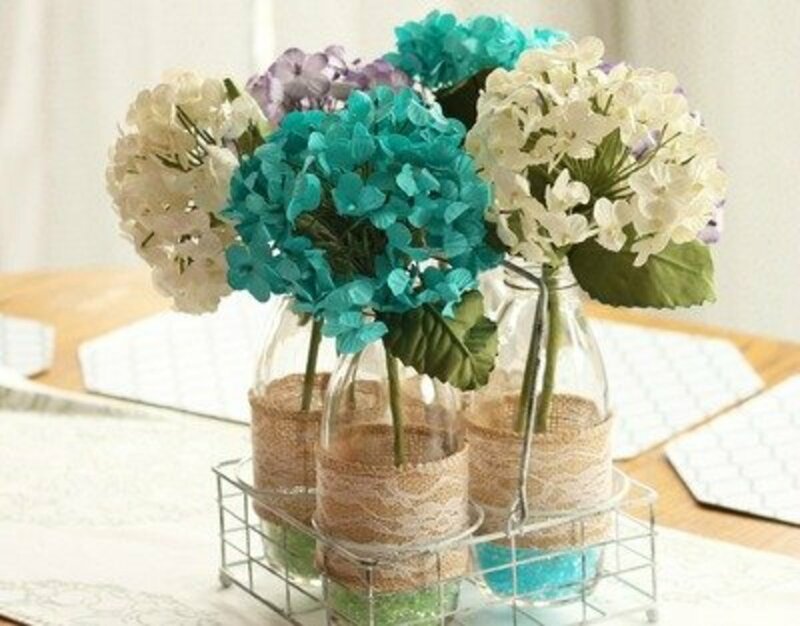 To make these outstanding centerpieces, go to Crafts Unleashed for the instructions. It's amazing the change you'll see when you add glitter to your plain glass votive holders. 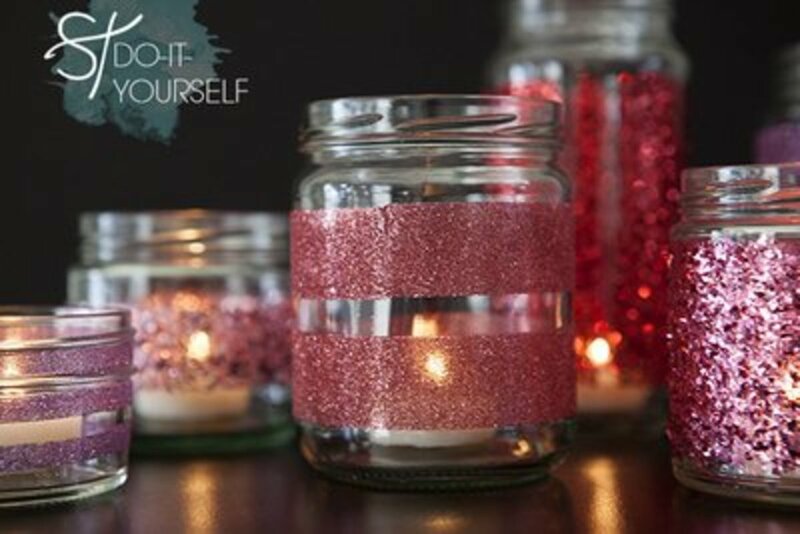 You can make glitter votives by following the instructions at 100 Layer Cake. 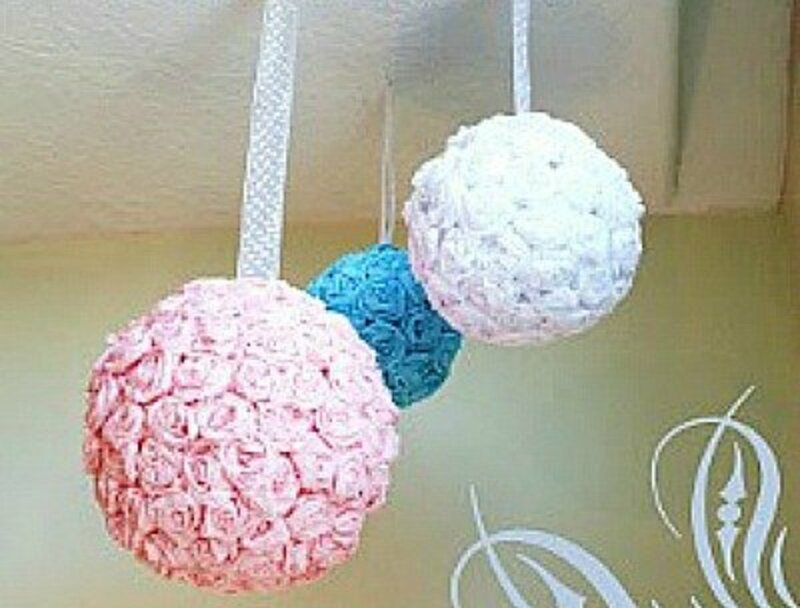 It's great that there are so many colors of crepe paper to choose from so you can make the flower balls in your favorite shade. 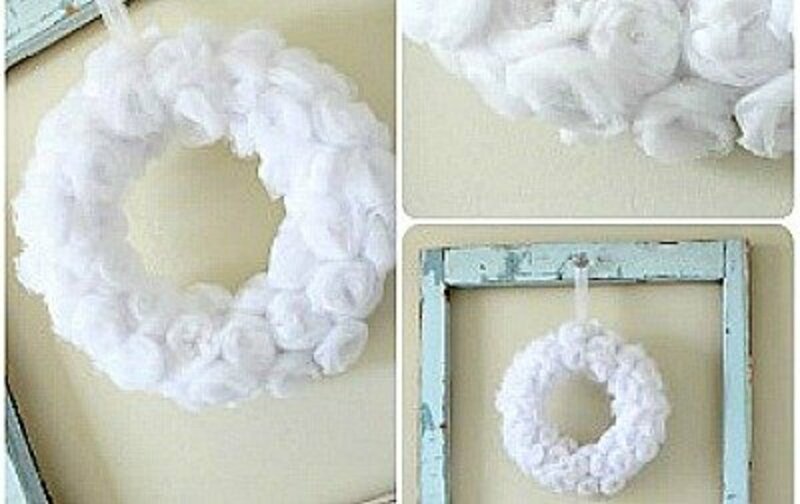 You'll find a great tutorial for making this craft at The House of Smiths. 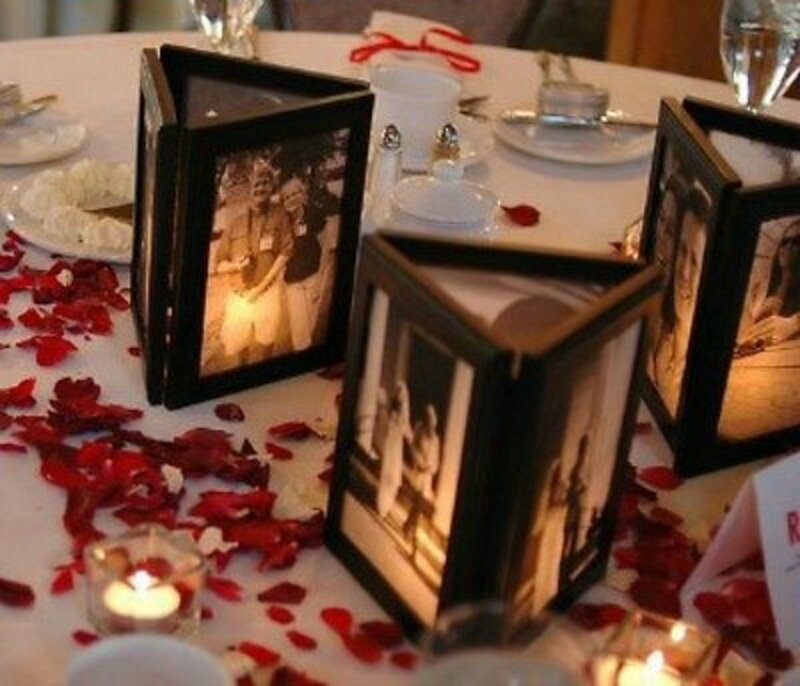 This is a unique idea for an inexpensive wedding decoration. The flowers on this string light is made using paper bags. The Shabby Creek Cottage is were to find the directions. 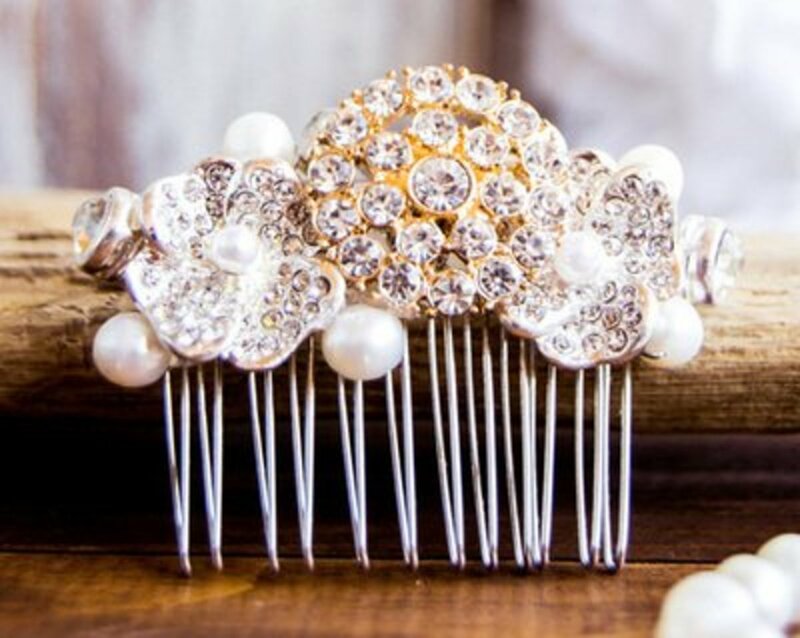 An elegant, thoughtful gift to make for your bridemaids, and also make one for yourself. You'll find the instructions for making this clutch at Lavender Paper Hearts. 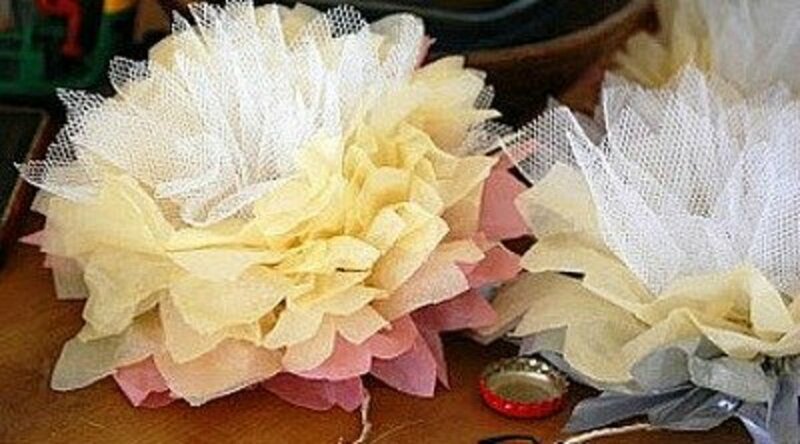 This is another crepe paper flower that will enhance in wedding celebration. Think of how beautiful they will be in your favorite color. Go to Ruffled for the instructions. Making favors for the wedding will be a cinch and inexpensive, if you make these wrapped chocolate bars following the instructions at Ada and Darcy. 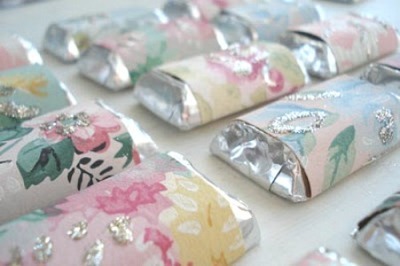 Cover small chocolate bars with pieces cut from wallpaper or calendar pages. Then add a touch of glitter. Outstanding!! 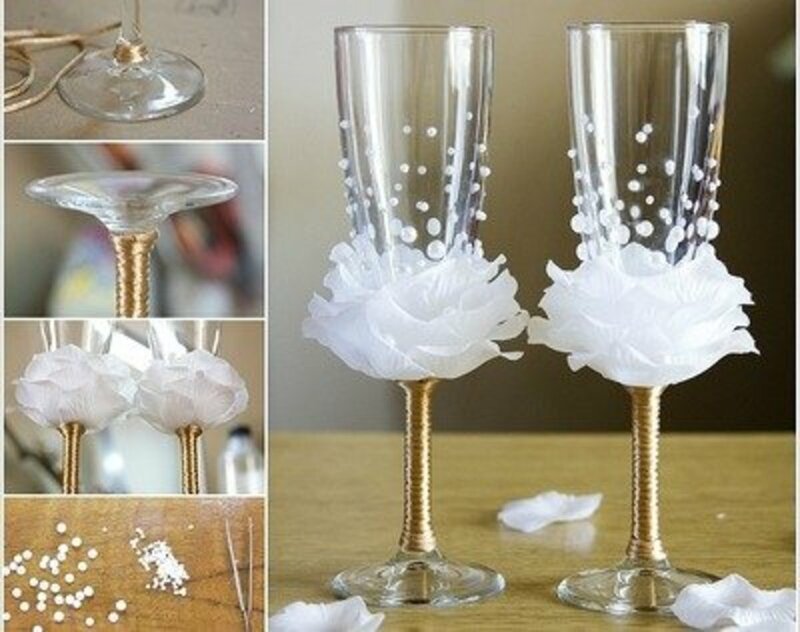 Make beautiful wine glasses for your bridal table using rose petals and pearls. Find the tutorial for this project at Amazing Interior Design . So very easy, and so very, very elegant. The beautiful flowers on this elegant ring pillow are made using strips of white tee shirt. Find the complete tutorial for this pillow at Sew, Mama, Sew! 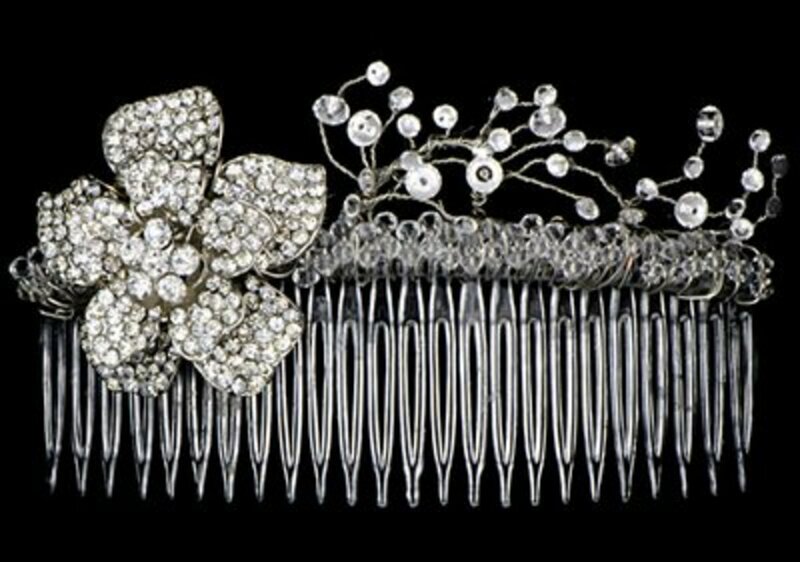 You'll find the tutorial for making this beautiful hair comb easy to understand. Great images. 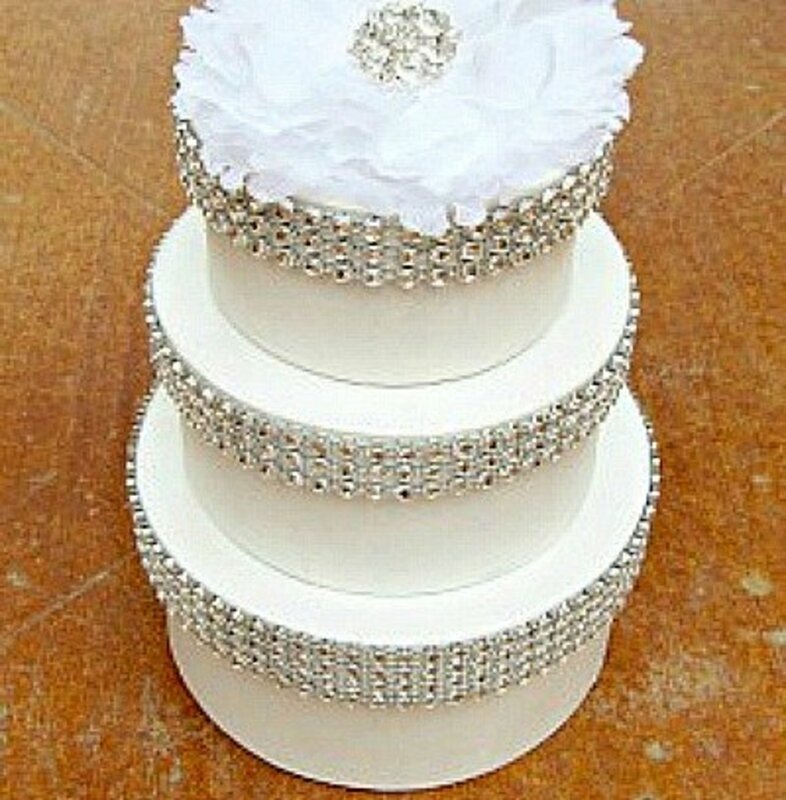 The bride to be will appreciate the stacked boxes that make up this faux cake for years to come. 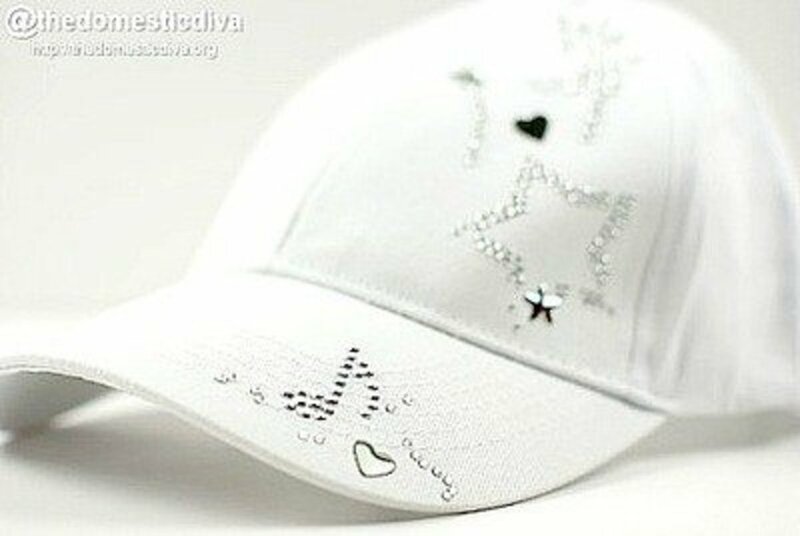 Crafts Unleashed is the site where you'll find the directions to make this favor. Consider using one of the boxes to hold wedding gift cards. 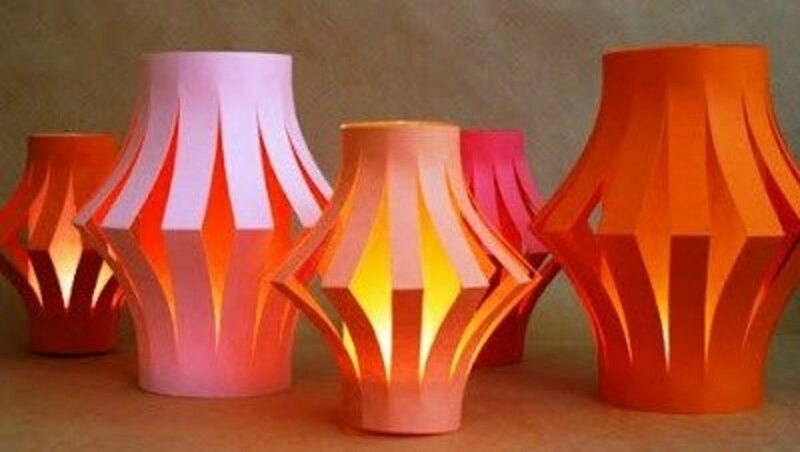 Although these centerpieces are beautiful in the orange color, you can make them in your wedding colors, or they would be outstanding in white also. Find the instructions for making them at Christine and Vitor. This is an elegant looking white tulle wreath, and I can imagine it would make beautiful flower rings for your bridal tables. Go to The House of Smiths for the tutorial. A great way to save on wedding expenses. The tutorial is brought to you by Chica and Jo. This is a super easy tutorial to follow. Impressive! 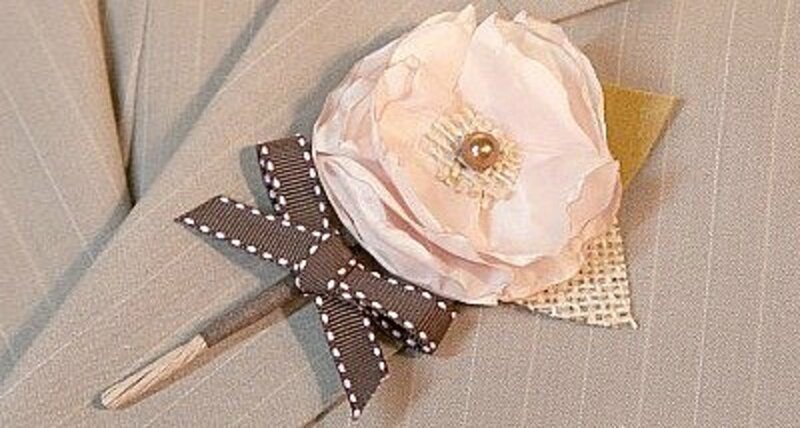 This is a beautiful rustic boutonniere and the tutorial gives the instructions on how to make it, but I think you could use this basic idea and make the boutonnieres as elegant or chic as you wish just by changing the fabrics and using beads or shank buttons for the centers. 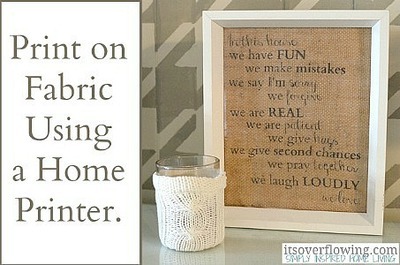 This great tutorial comes from the Sew4Home site. 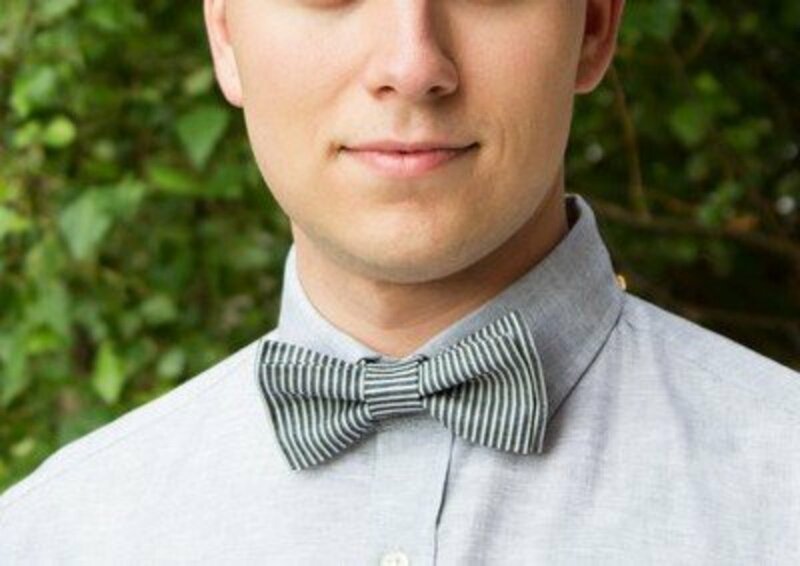 Make stylish bow ties for the men by going to the Martha Stewart blog for the easy to follow tutorial. Put a touch of sparkle in your table decoration or church décor by adding an iced branch or two. I love the looks of these iced branches. 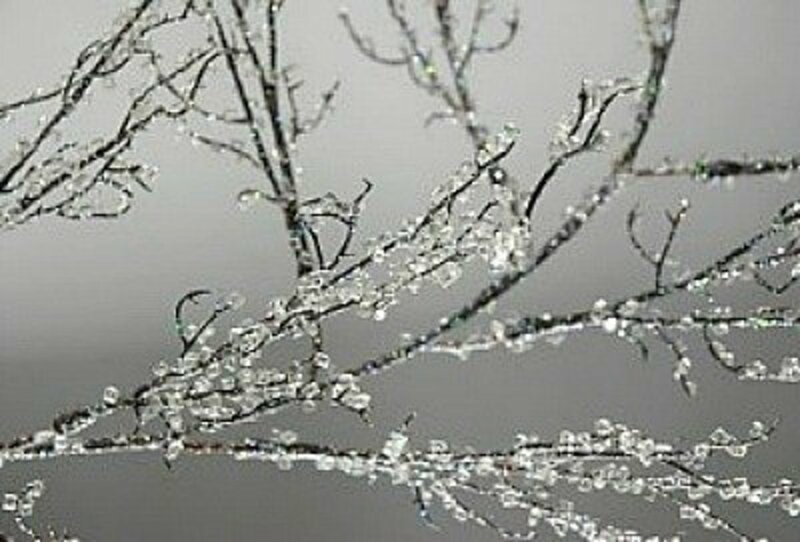 You'll find the tutorial for making iced branches at Make Them Wonder. 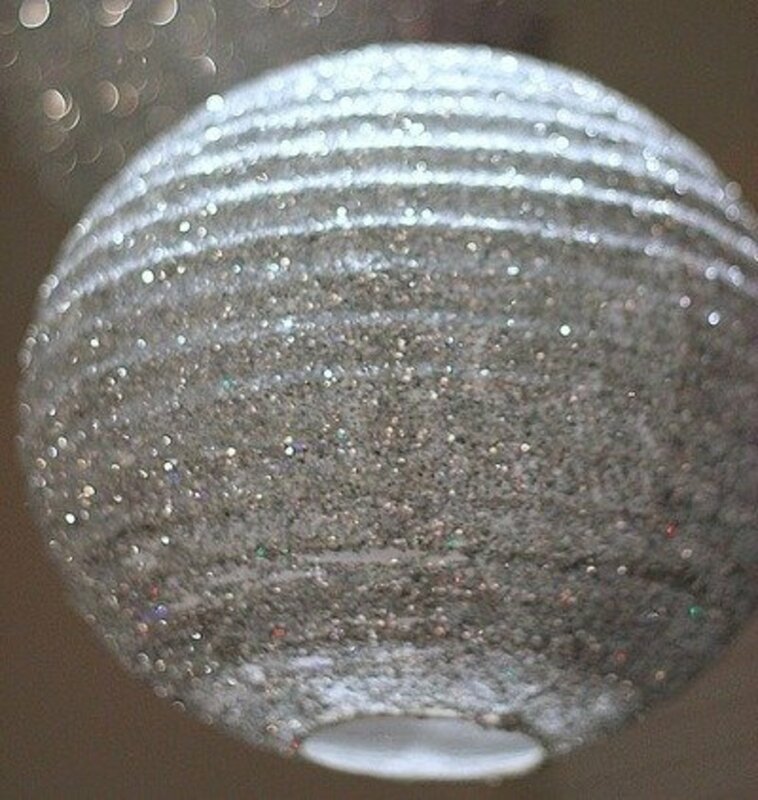 Use these kissing balls for your outside or inside wedding reception. This delightful craft has its instructions on the Holiday Crafts site. I saw a photo of a bachelorette cap that had the rhinestone word "Bride" on the front, a small tulle veil attached to the center top of the cap and a thin colored ribbon circling the crown of the cap. Really cute and I think the bridesmaids would probably like caps too. In the bride's color and with Bling on the bill. Find the project shown at The Domestic Diva. 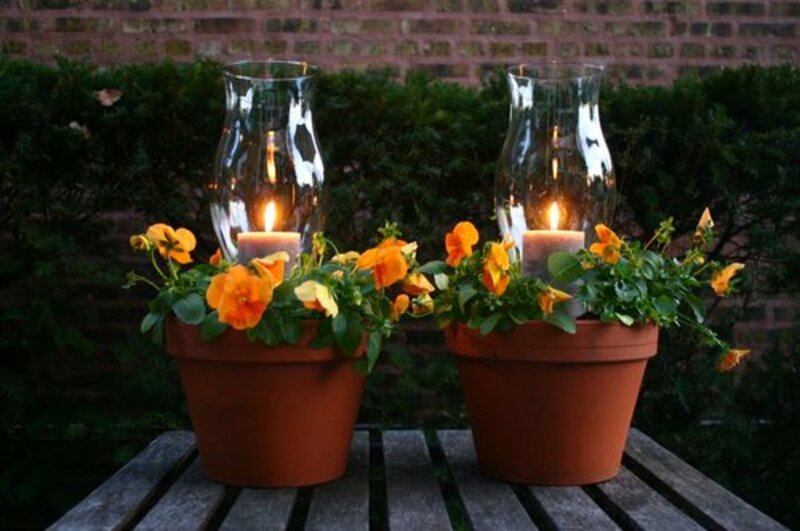 The flameless candles make using luminaries safe, so feel free to use luminaries along pathways and around flower beds. Go to The Swell Designer for the instructions for this craft. The paper sacks are run through the printer to make this an easy item to make. 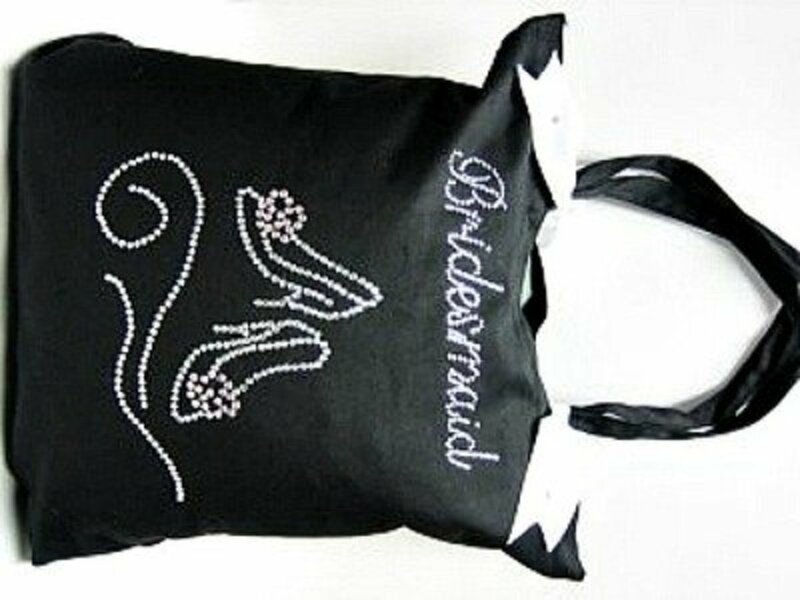 Your bridesmaids will so appreciate this bridesmaid tote bag that will carry all the necessities for bridesmaid duties. A purchased tote bag makes this an easy craft, and the added rhinestones make it a personal gift from you. You'll find the instructions for making these tote bags at Favecrafts. Go to the Wedding Chicks site for the instructions to make this garter. It looks like this would be a difficult craft, but it isn't. 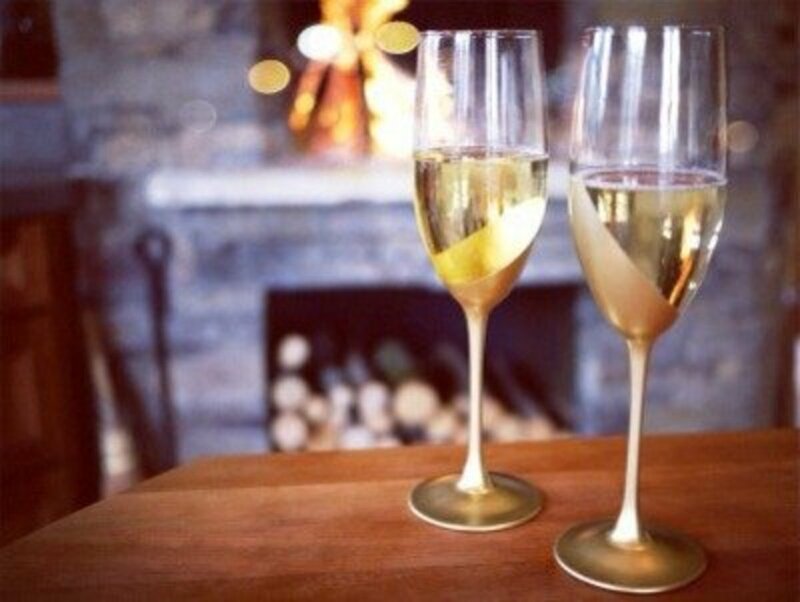 Find out how easily you can make these elegant flutes by going to Honestly..WTF. 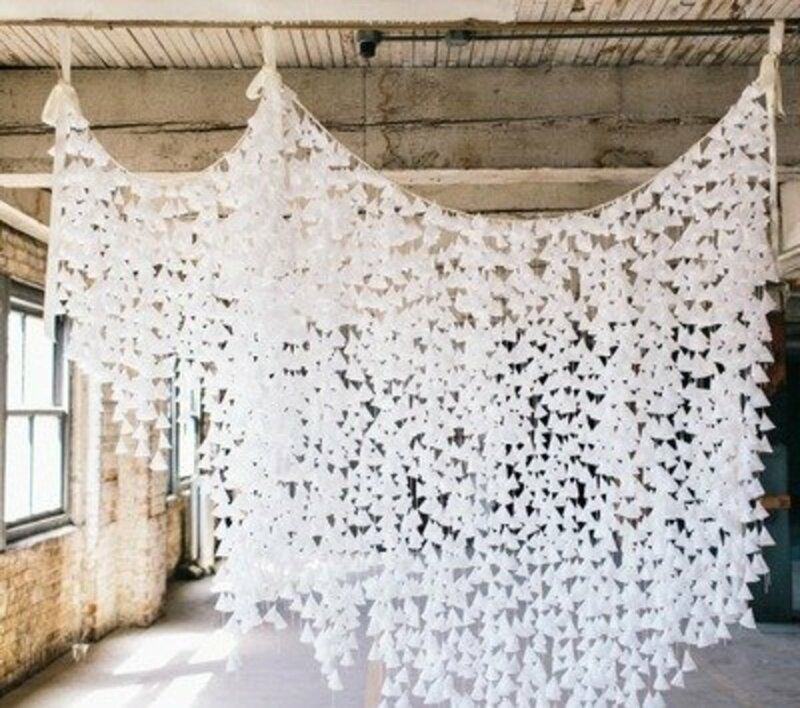 Think of all the places you can use tulle butterflies to enhance your wedding décor. This very appropriate butterfly craft has instructions at Bird’s Party Blog. I think this is an especially elegant looking decoration for a wedding reception or for a bridal shower. 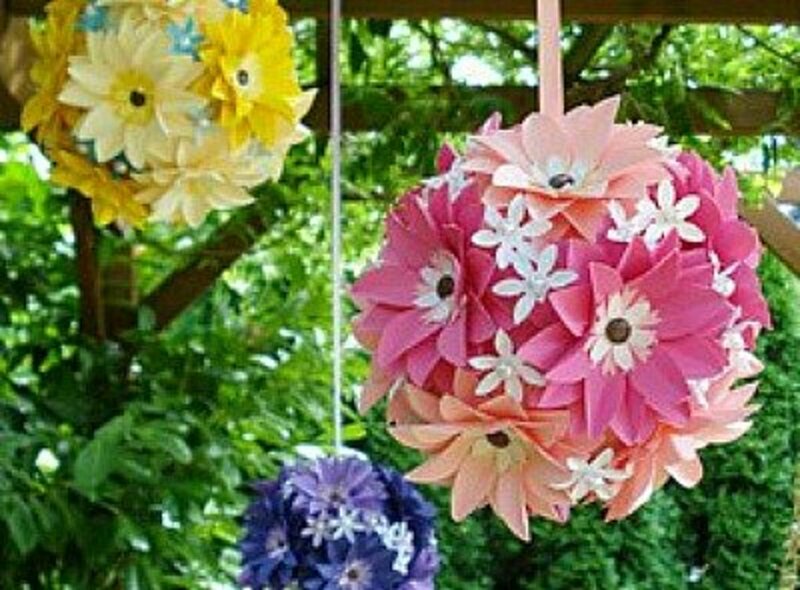 Find the instructions for making and displaying these gorgeous flowers at Style Me Pretty. You can find all colors of feathers to make these boutonnieres. This will be a fun project, so get some girlfriends to help. Find the instructions at Ruffled. 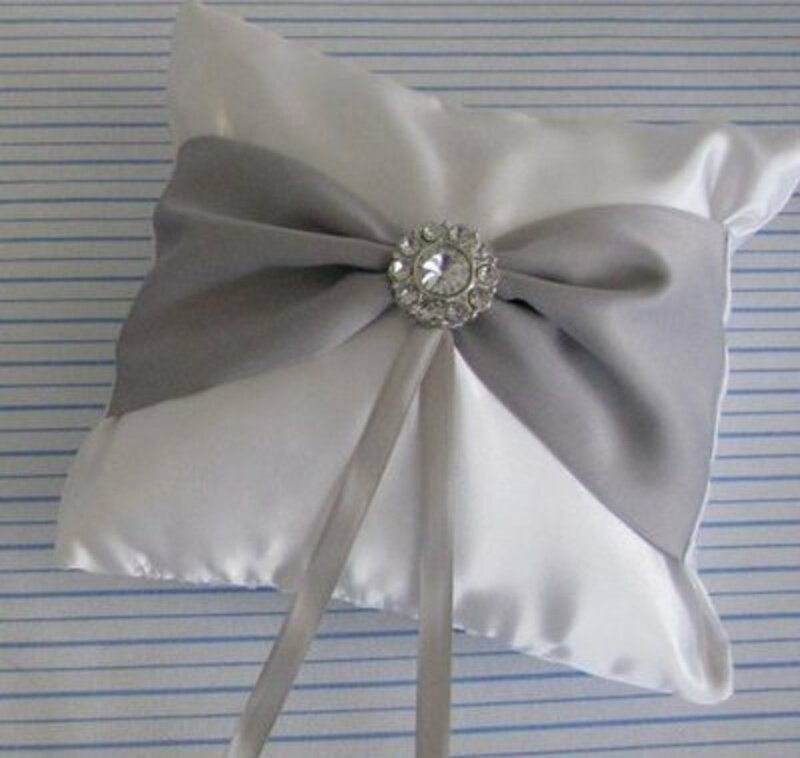 If you like the elegant look of this ring bearer pillow, go to Instructables and check out their tutorial. If you would like to make your own bridal veil, go to Craftstylish to get the instructions and to see how easily you can make the veil. 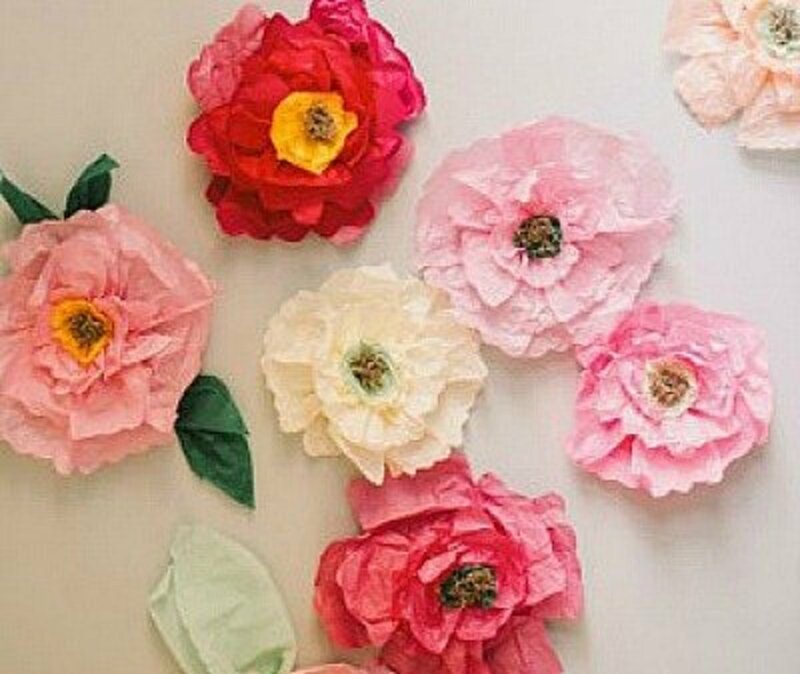 Make these large tissue paper and tulle flowers in any color or colors that you choose. I really think these are pretty. You'll find the tutorial at Greedy for Colour. Show off your new married name initials with this project brought to you by the Craftstylish site. 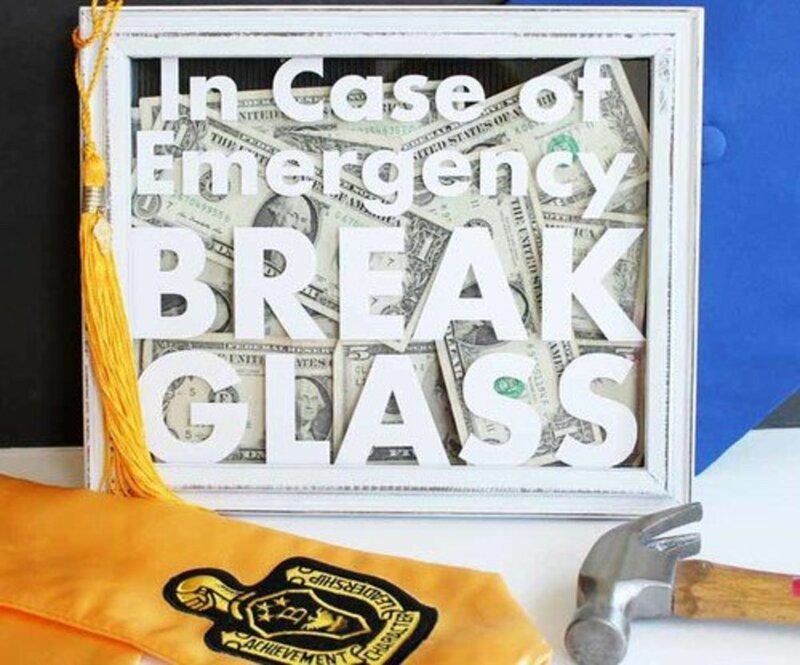 You'll be proud to display this in your new home. This beautiful saying on burlap would be an appropriate addition to your bridal decorations on your big day. See how easy it is to make, and find the printable saying at It’s Overflowing. An outstanding keepsake. 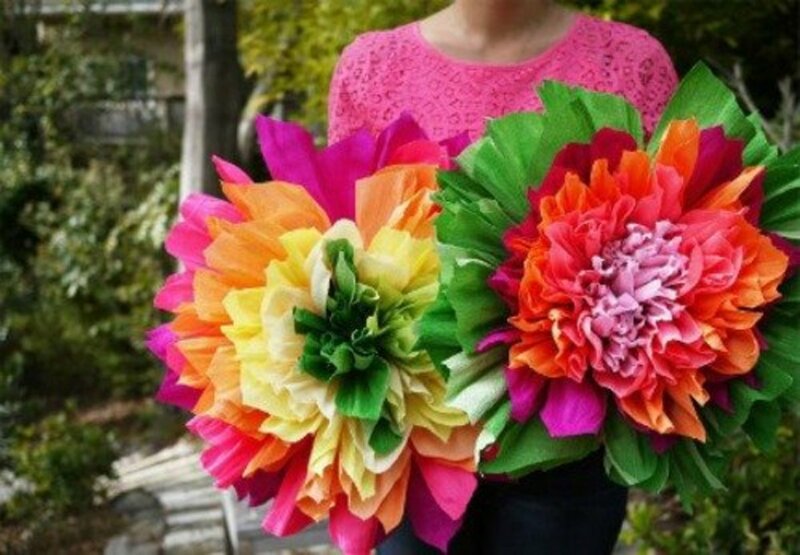 It's almost impossible to believe that these beautiful flowers are made from tissue paper. 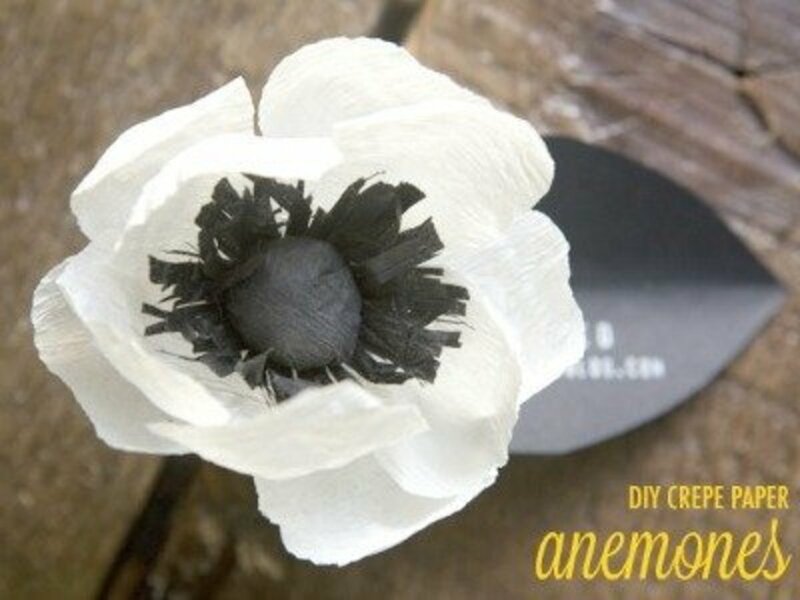 Any bride would be proud to display these poppies in an arrangement. 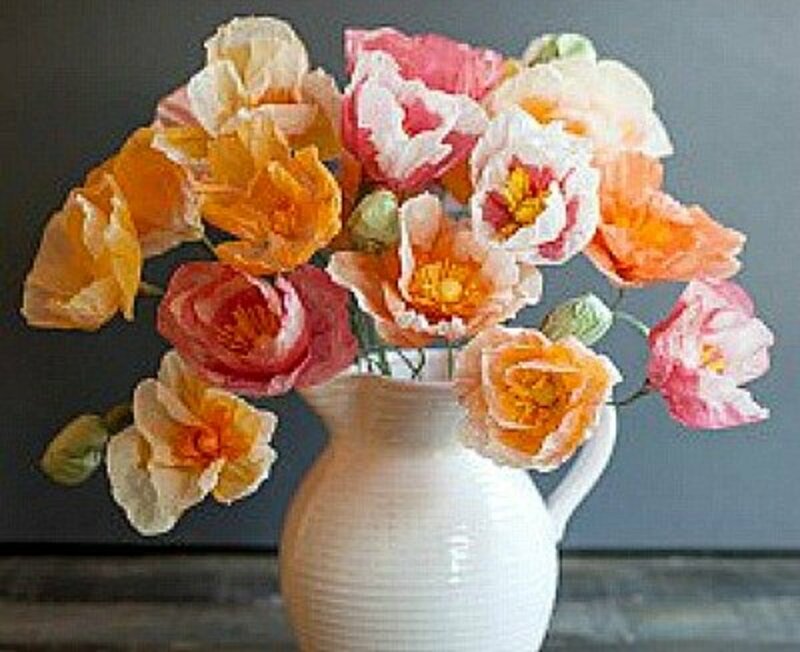 Find the tutorial for making these tissue paper poppies at Lia Griffith. Find the template and the instructions for making this heart favor box on the Wonder Forest site. 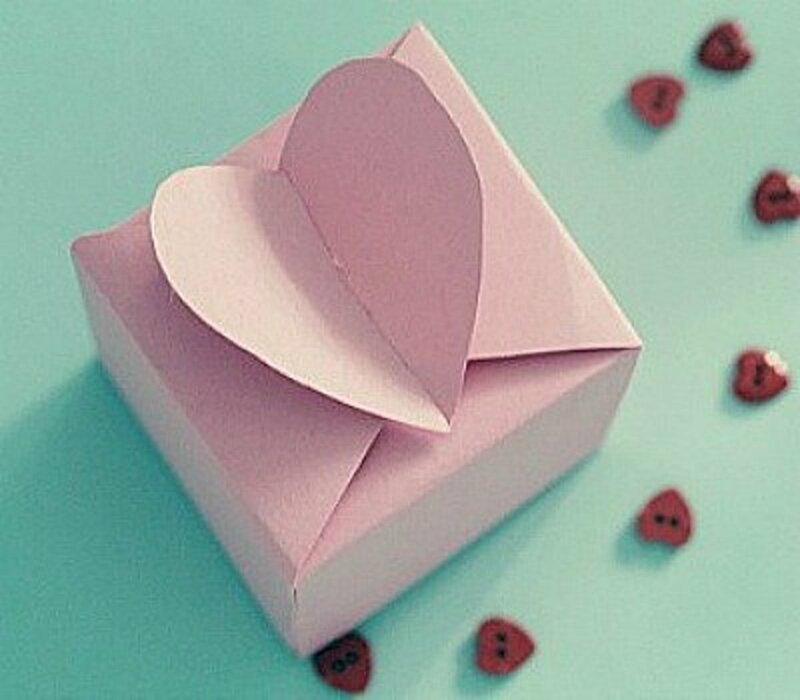 Imagine how beautiful these favor boxes will look in your favored color. 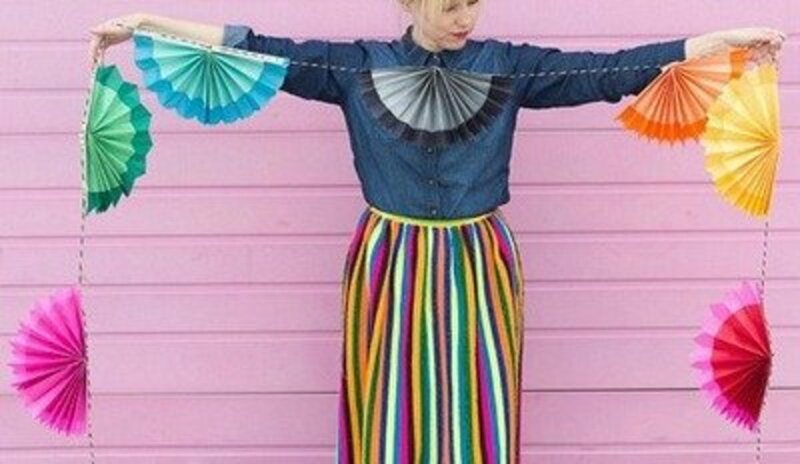 You probably don't need instructions for making this bunting, but if you would like to see how it is made, go to Make the Best of What's Around for the directions. Imagine photos, taken of occasions that bring back memories of you and your guy, and made into beautiful votives like the ones shown above. A great centerpiece for a wedding or bridal shower. 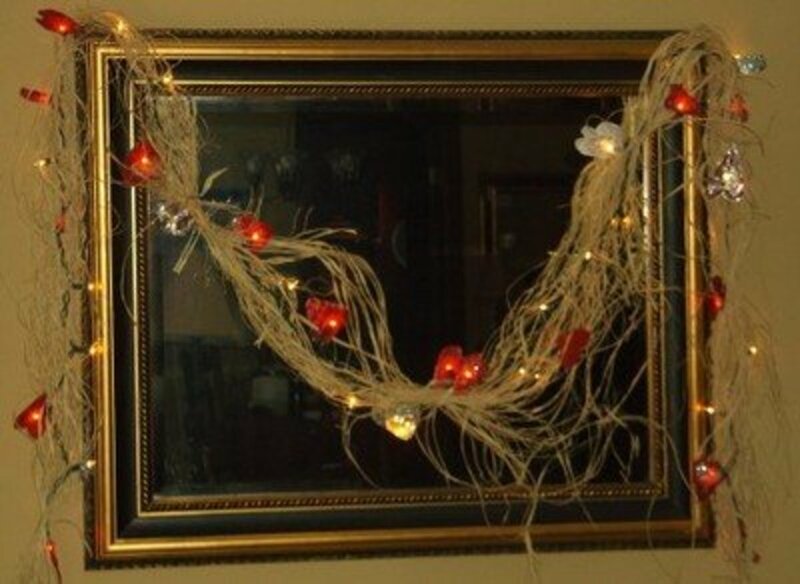 Go to Martha Stewart for the tutorial for making the photo centerpiece. 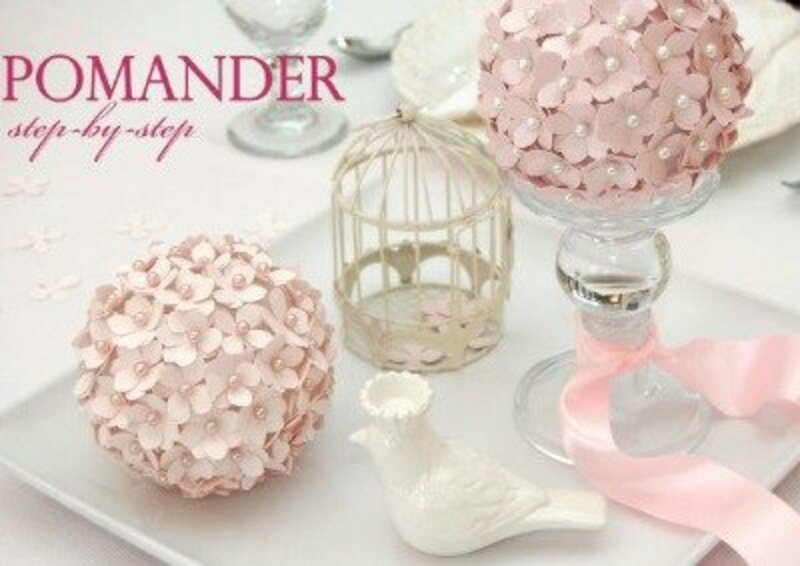 Check out the Pizzazzer site to see their tutorial on how to make this elegant pomander flower ball. 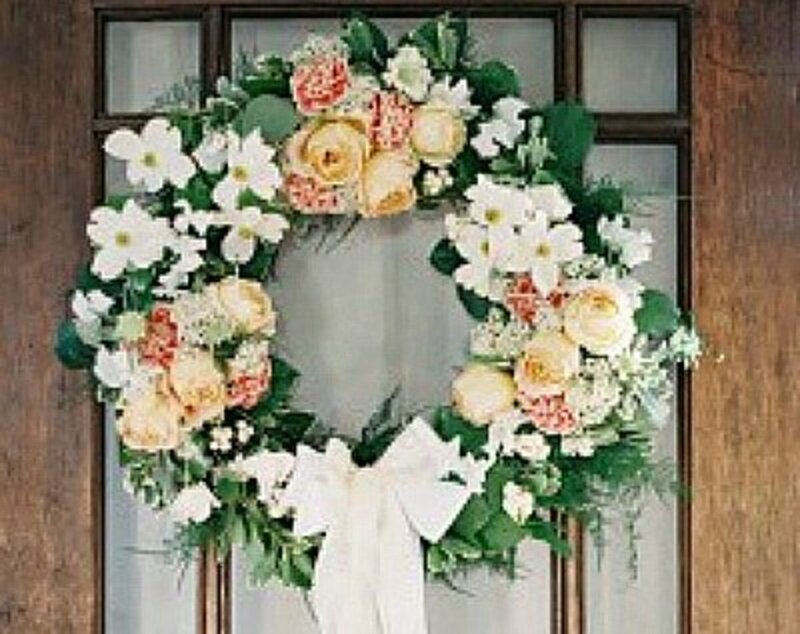 Create your own wedding door wreath following the directions that you'll find at OnceWed. This is so exceptionally beautiful!! 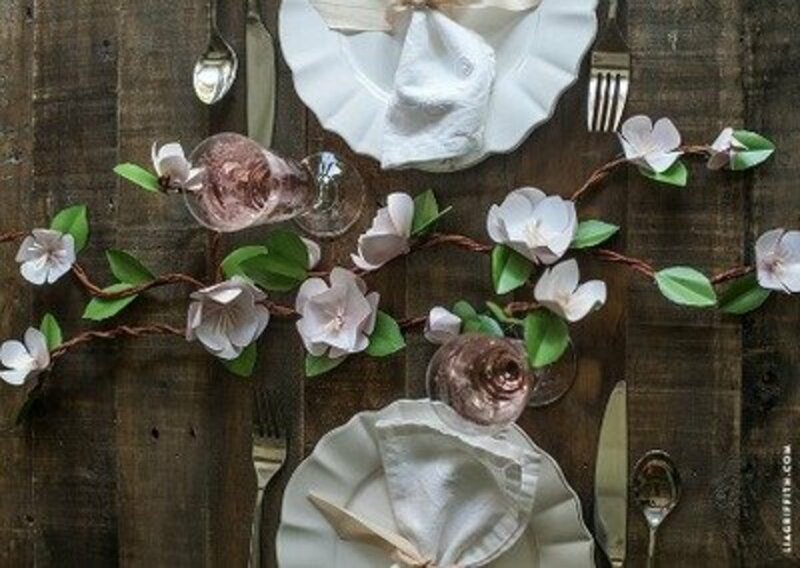 Decorate the tables at your wedding reception with beautiful apple blossom branches that you have made yourself. You'll find the tutorial for making these exquisite apple blossom branches at Lia Griffith. 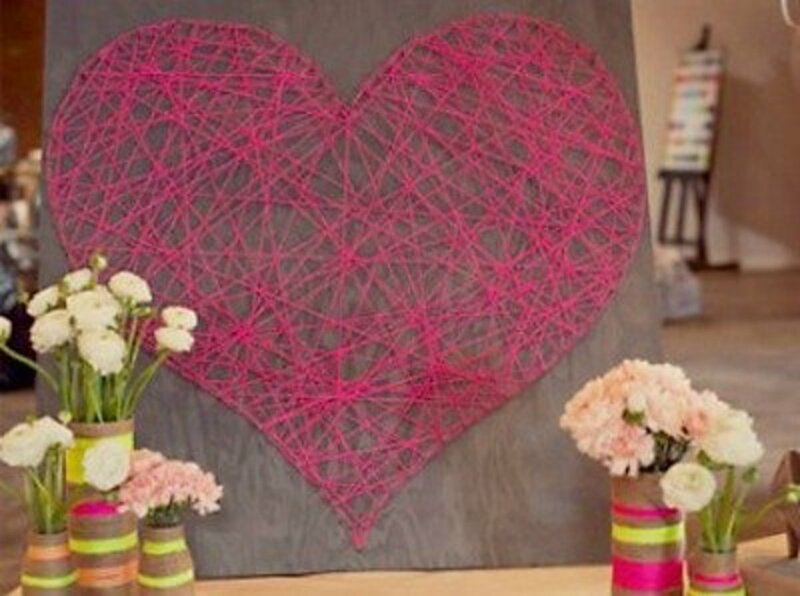 Make a beautiful string heart wall hanging to use to decorate for a bridal shower or wedding, and then hang it in your newly established home. For the directions to make this string heart wall hanging, go to Green Wedding Shoes. 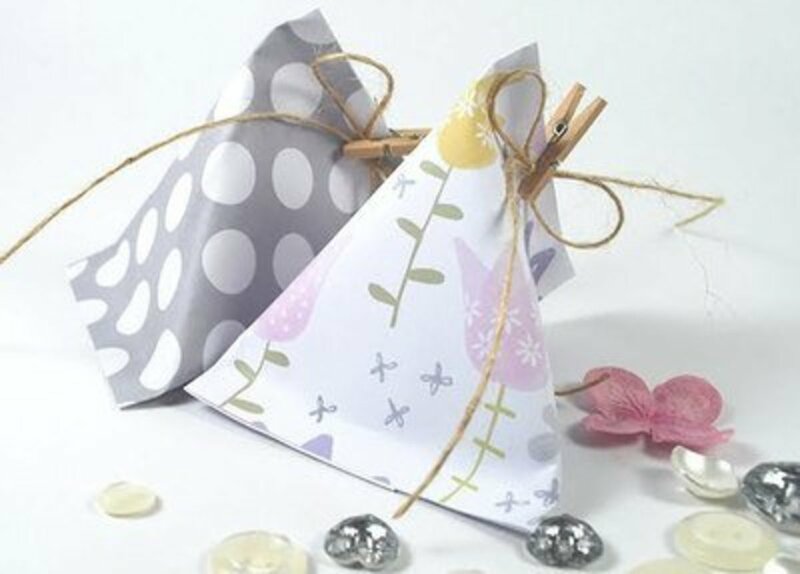 Imagine how inviting a nice basket of these sachet favors, they are both beautiful to look at and the smell is fabulous. A great way to welcome your guests to the reception area. You'll find the tutorial for making these favors at Clear & Simple Stamps. 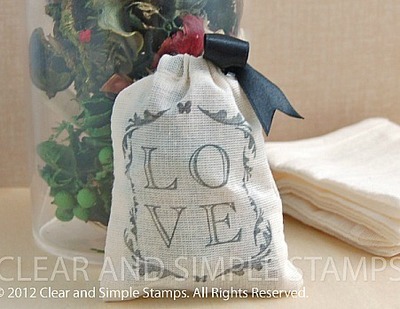 I like the idea of making these little burlap hearts to use as favors at a shower or wedding. Probably make the hearts in the brides chosen colors and have bowls of them sitting on the reception table. 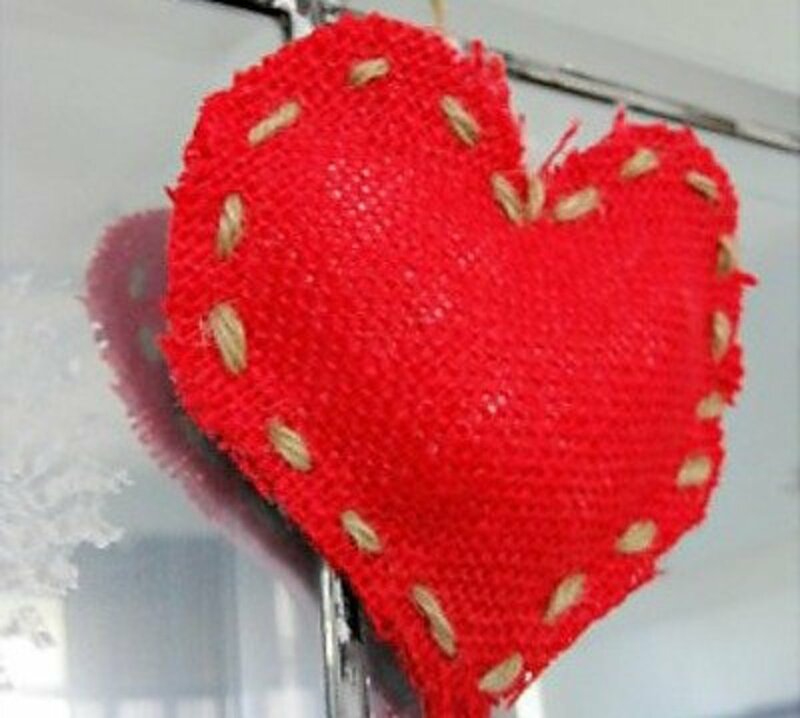 For the instructions for making these burlap hearts go to Domestically Speaking. 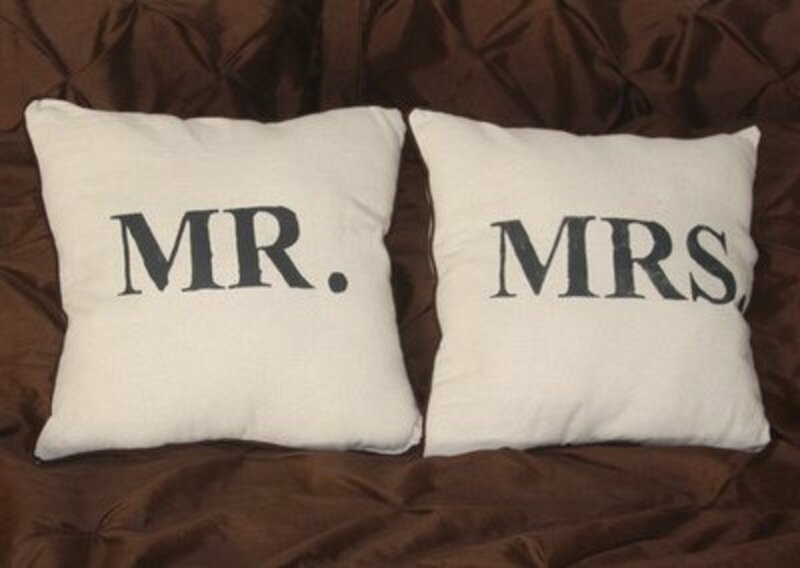 Mr. and Mrs. pillows will fit with any colors or styles of décor. Find the easy to follow directions for this project at A Spotted Pony. I'm really impressed with this pillow craft. 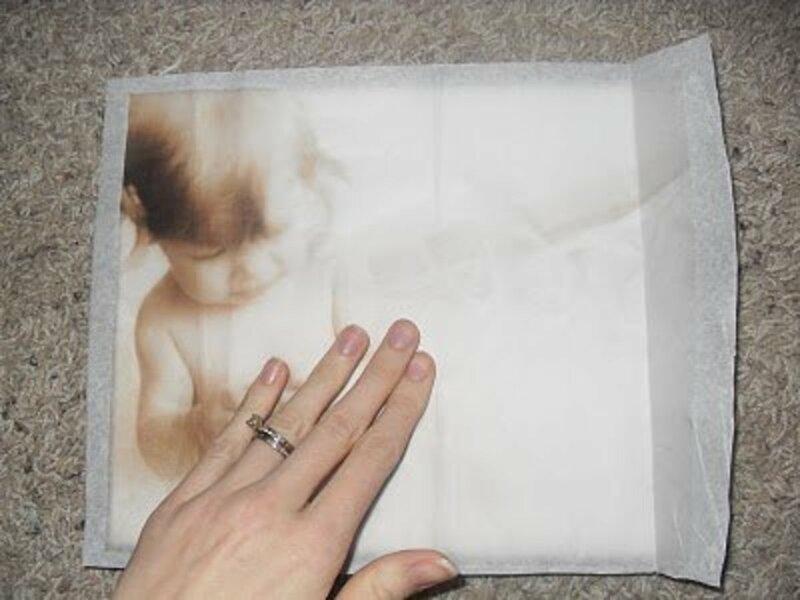 Give photos taken at your wedding a professional canvas art look by using tissue paper and Mod Podge. The tutorial at Sarah’s Projects explains exactly how to make this wall art. I really like the idea of starting a book like this when you first get married, and then plan on adding reasons as the years go by. After all it's the little expressions of love, everyday actions, that make the big differences in a happy marriage. See how this is made by going to Trans-Craft-Inental for the tutorial. 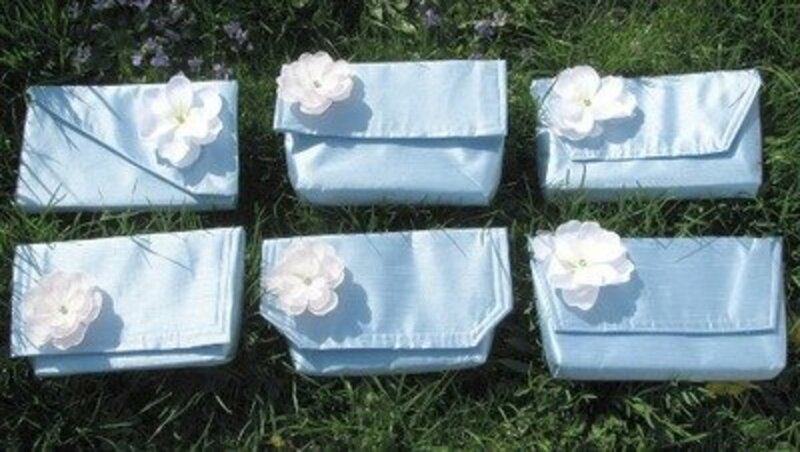 Wedding favor bags with a twist. See how easy it is to make these by going to Pink Petticoat for the tutorial. 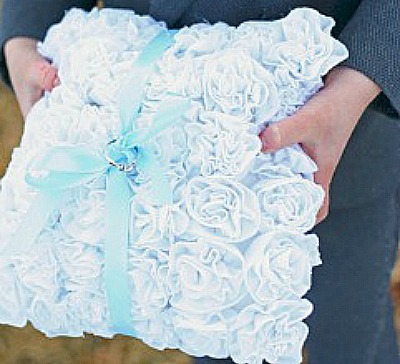 Are You Planning to Craft Some of Your Own Wedding Items? - or leave a comment. I may be able to afford my wedding yet - thank you!! 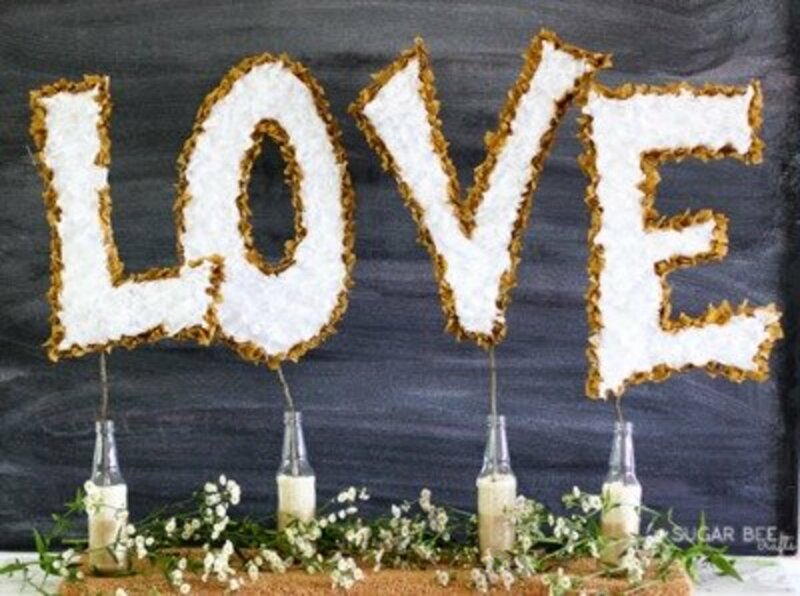 Beautiful featured wedding crafts. My sister generally makes all of our family wedding bouquets. She really is a very crafty person.